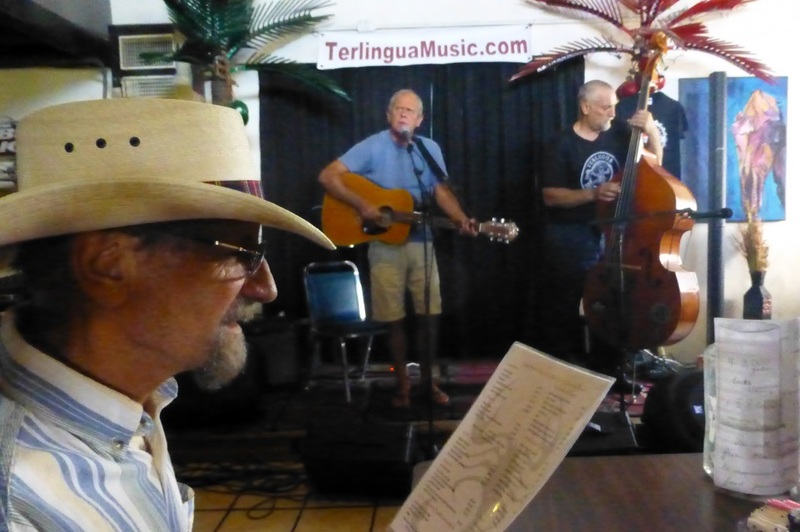 Select another year of "Terlingua Today" you want to see. December 24, 2013 As has become our Christmas Eve tradition, we throw open the doors of our Adobe to all who want to share the warmth of the season. This year we started the day with a ride in Big Bend National Park, a little lunch at Mule Ears Overlook, and then Christmas Caroling at the Chapel in Lajitas. 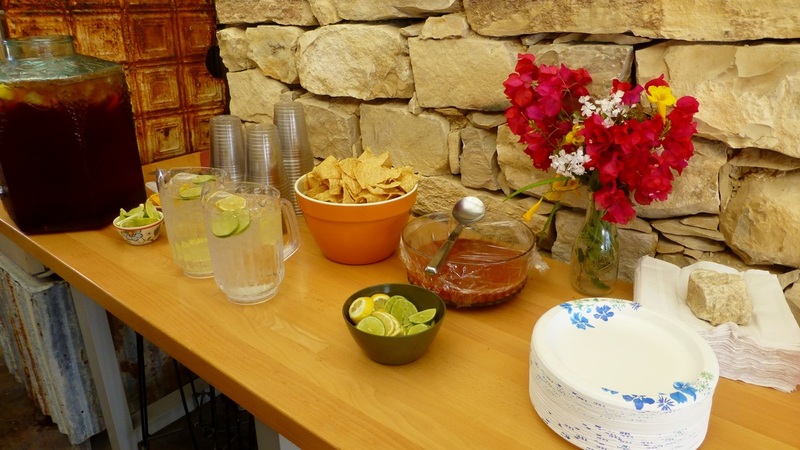 By the time I rode back to the Adobe, guests were already arriving, bearing their favorite treats to share. Maybe next year, you'll join us. Couldn't do it without these four friends! 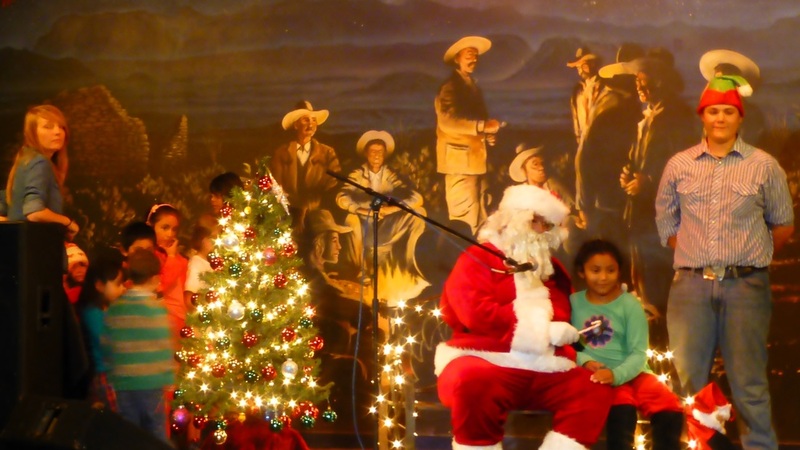 Eighth-graders from Terlingua CSD performed a skit entitled “Posada,” and the Terlingua CSD Roadrunner Band, directed by Ted Arbogast, performed a medley of seven traditional holiday songs. Bernadette Lafever sang “El Shaddai.” The evening was capped off with the Terlingua Community Choir singing a series of nine Christmas songs, including the finale “Here Comes Santa Claus” as the man himself arrived proclaiming a hearty “Ho-ho-ho” to the delight of the many children in the audience. While the children spoke earnestly to Santa Claus, most of the adults adjourned to an adjacent room for cookies and other refreshments. Photos by Voni Glaves. click images to enlarge them. 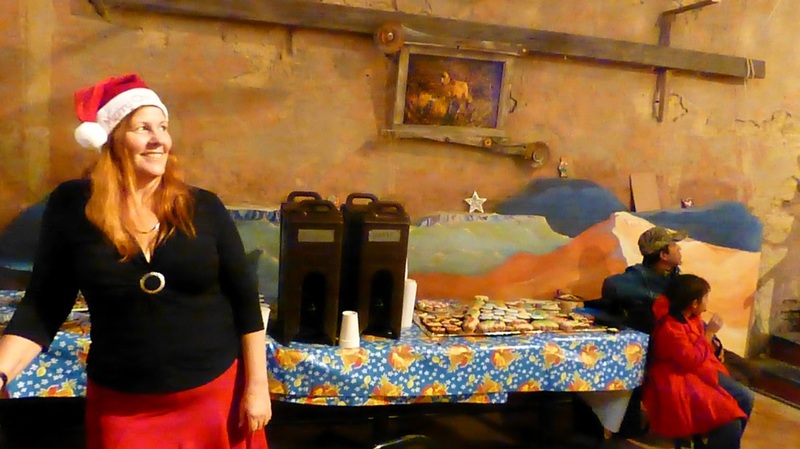 Front Street Books, in Alpine Texas, delighted area people with wine, snacks, and fun at a book signing and reading event featuring popular local Big Bend area authors Elizabeth A. "Beth" Garcia and Carlton "Carl" Leatherwood last Thursday at 6:00 PM. 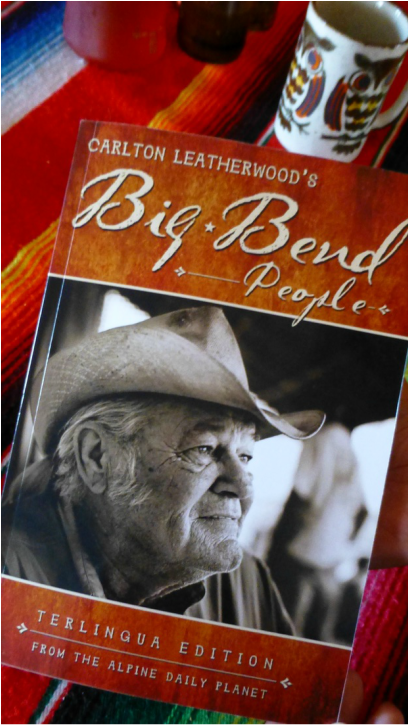 Carl’s book explores the many-varied people of the Big Bend: artists, musicians, writers, actors, and other assorted characters who call this area home. A good time was had by all. 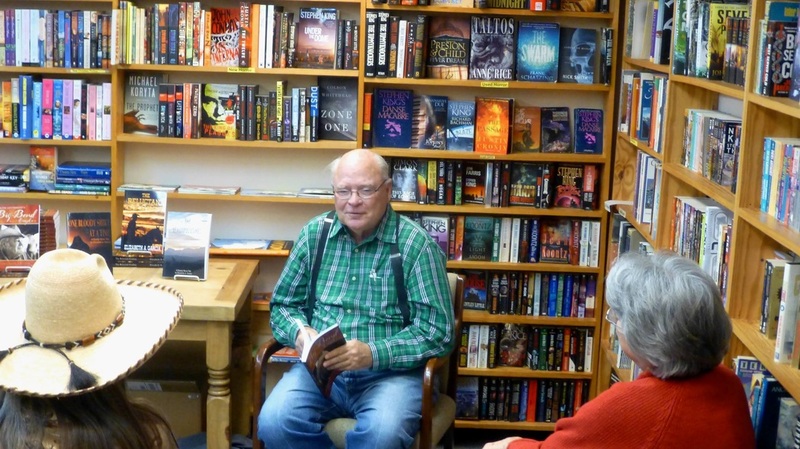 Front Street Books reported significant sales of these authors' books. This reflects the growing popularity of these books. 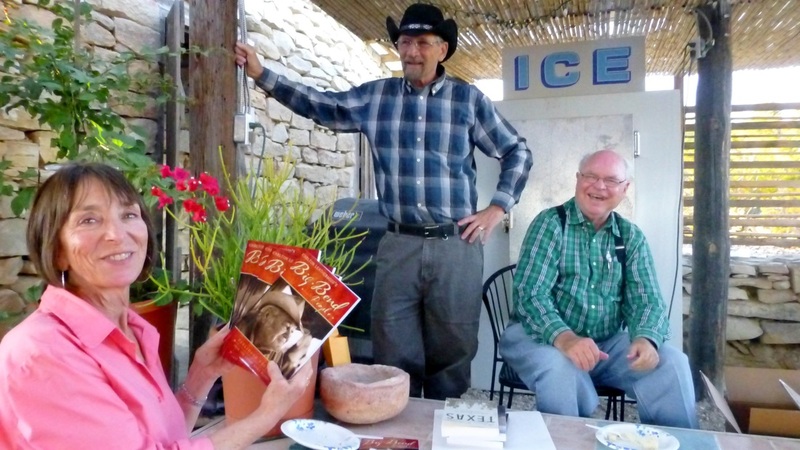 All books mentioned are available at Front Street Books in Alpine, The Terlingua Trading Company in the Terlingua Ghost Town, The Cottonwood Store in Study Butte, and various other area locations. They are also available on Amazon.com. 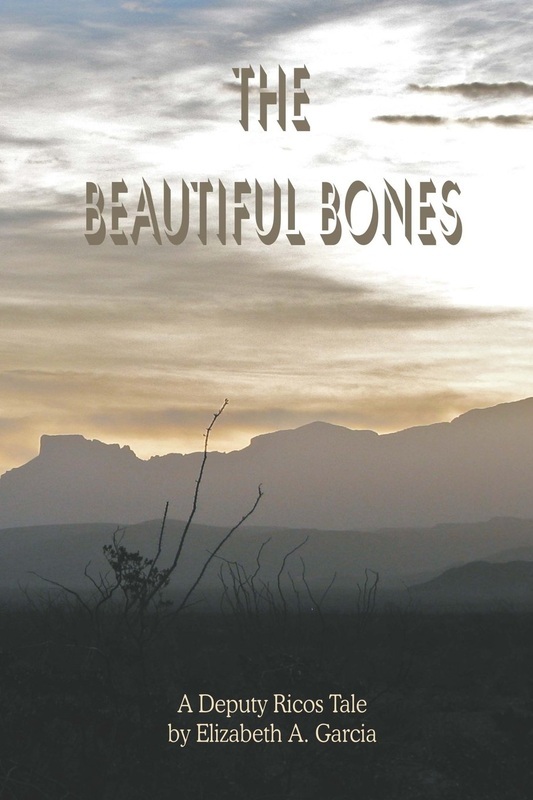 Please note that we will be adding these books to Familias de Terlingua's Book page soon. Click the book covers to read a description of the book in Amazon. 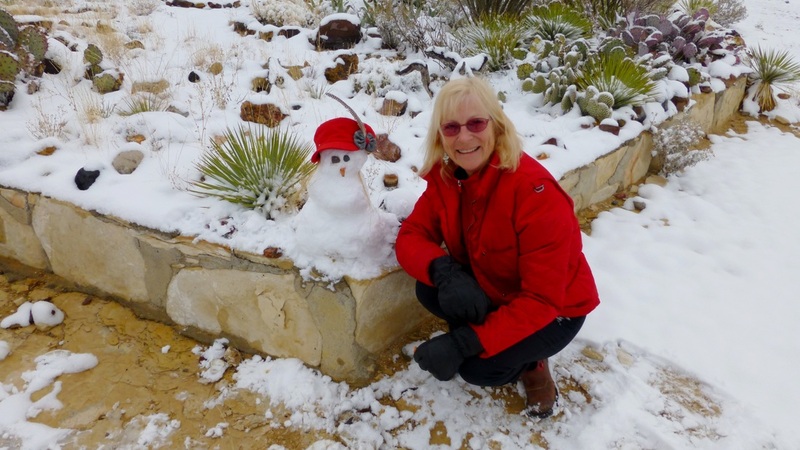 December 10, 2013 Christmas in Terlingua! 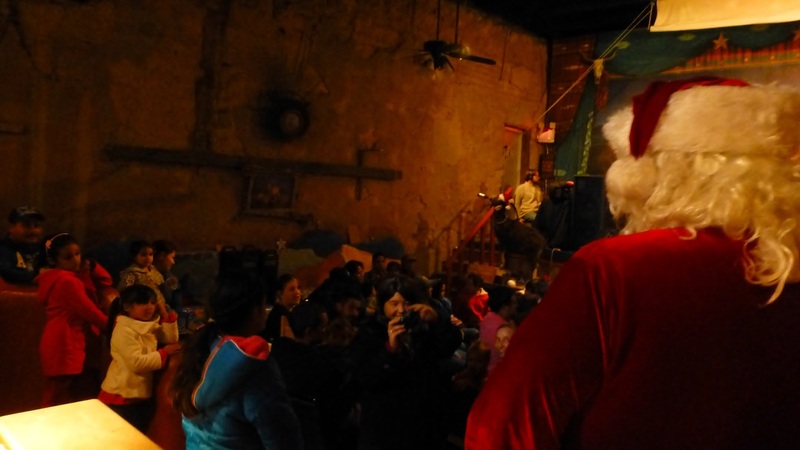 The annual Christmas concert by the Terlingua Community Choir, in prior years, hosted at Kathy's Kosmic Kowgirl Kafe, was held Wednesday evening at the Starlight Theatre in the Terlingua Ghost Town. The choir, directed by Ted Arbogast, sang a number of popular Christmas songs. Members of the audience joined in singing the familiar songs, thanks to the lyrics sheets passed out before the concert began. Children and their parents flocked to the front of the stage for a not-so-surprise visit from Santa Claus and his Elf. 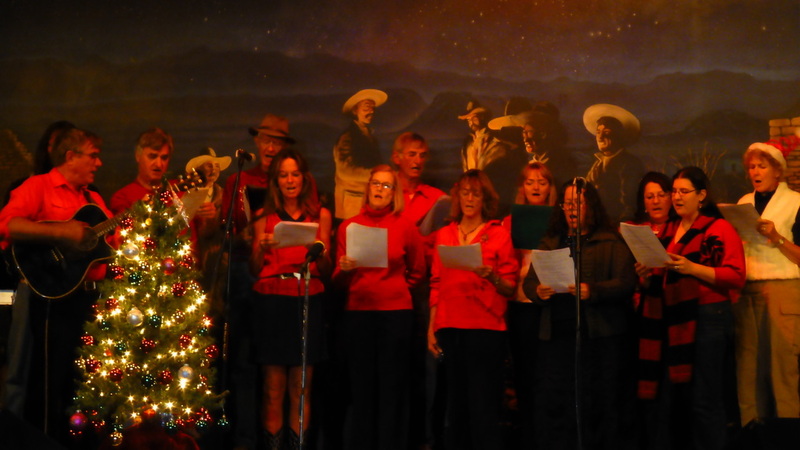 The annual Christmas concert by the choir kicks off the Christmas season in Terlingua in style. 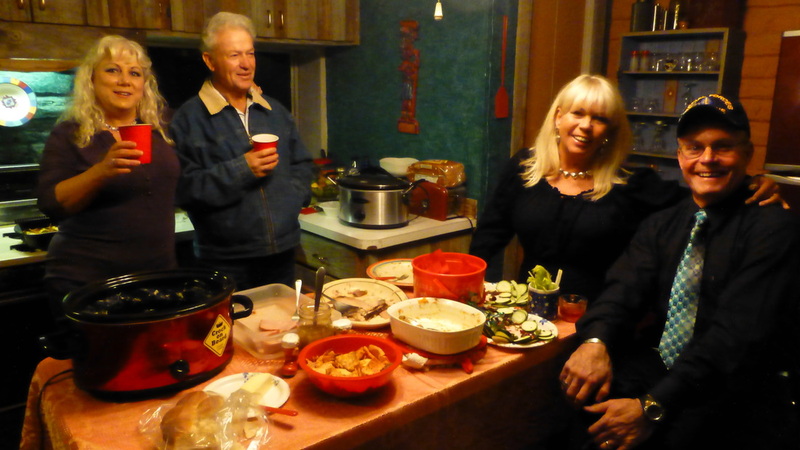 11/29/2013 Everywhere in the Big Bend of Texas there were gatherings to share thanks for all of our blessings. 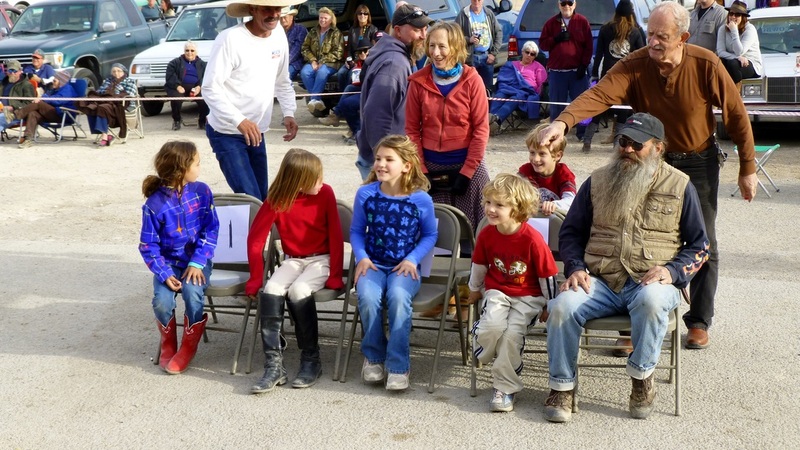 For the 7th year, Cowboy Chris opened his heart and his Cowhead Ranch for people to gather. 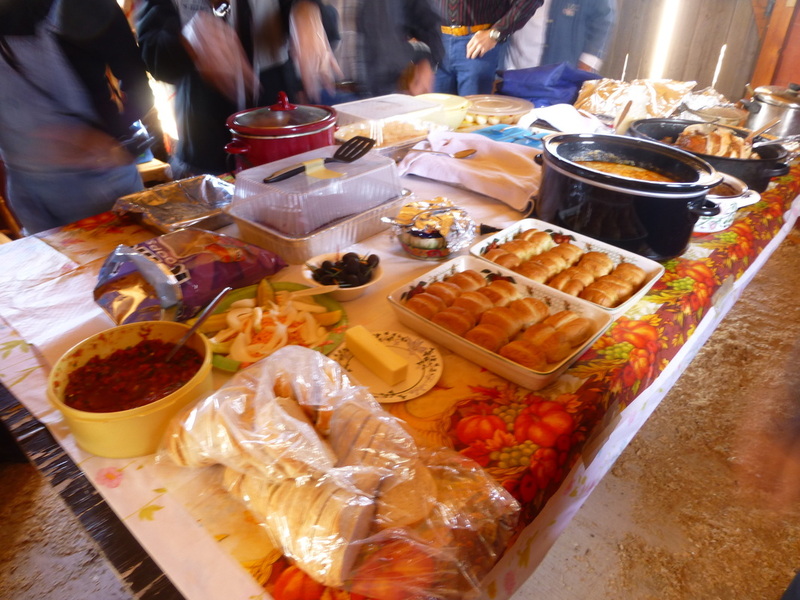 The food was potluck and the choices were the best anywhere. Abundant sunshine and thankful people made the day! 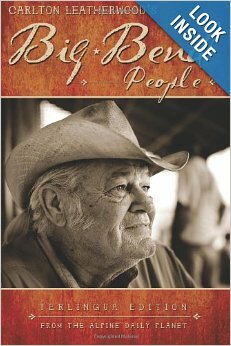 In this book Carlton Leatherwood has published vignettes of more than fifty people residing in or otherwise important to the community of Terlingua, Texas. 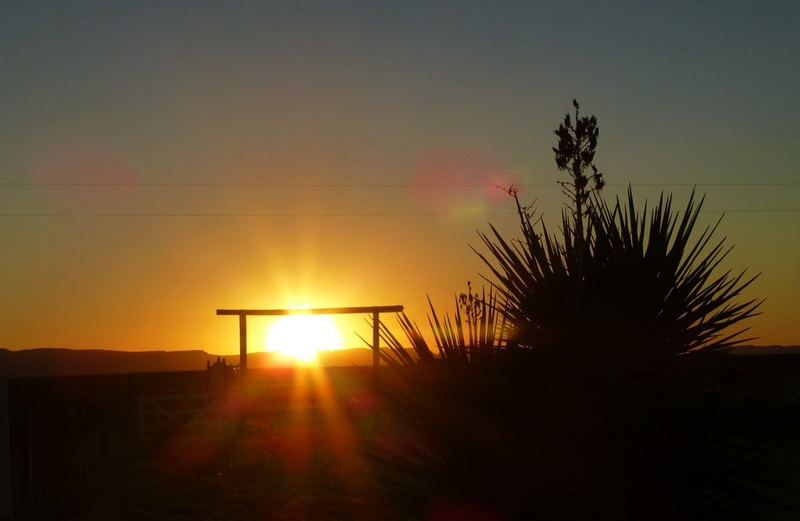 Carlton captures the personalities and spirit that makes Terlingua a uniquely pleasant place. 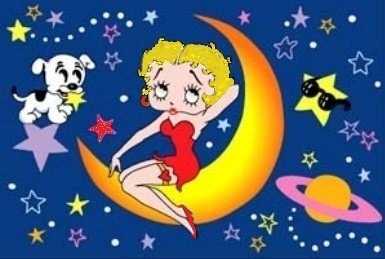 The profiles were originally written for and published in Mike and Cindy Perry’s Internet newspaper, the Alpine Daily Planet. Appropriately, the Epilogue features a profile of the author himself, written by Voni Glaves. A whole other crew worked on getting the North Wall of the Farmers Market at the Terlingua Community Garden ready to face. 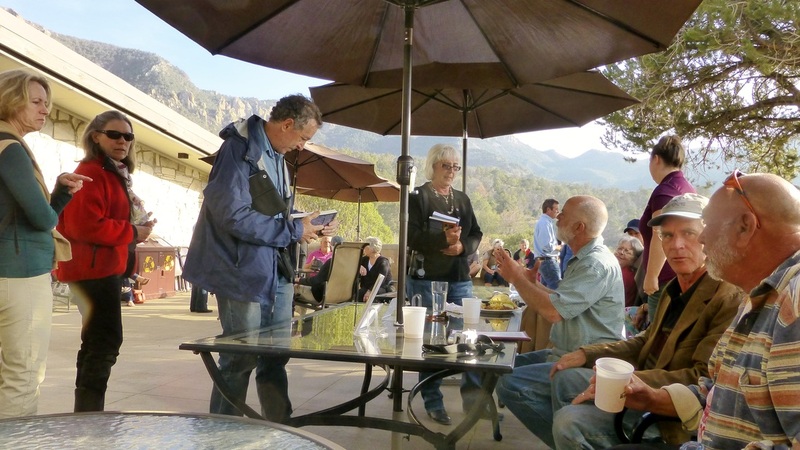 Time out for Brunch at the Starlight in the Ghost Town with authors Carlton Leatherwood and Carmen Ganser. 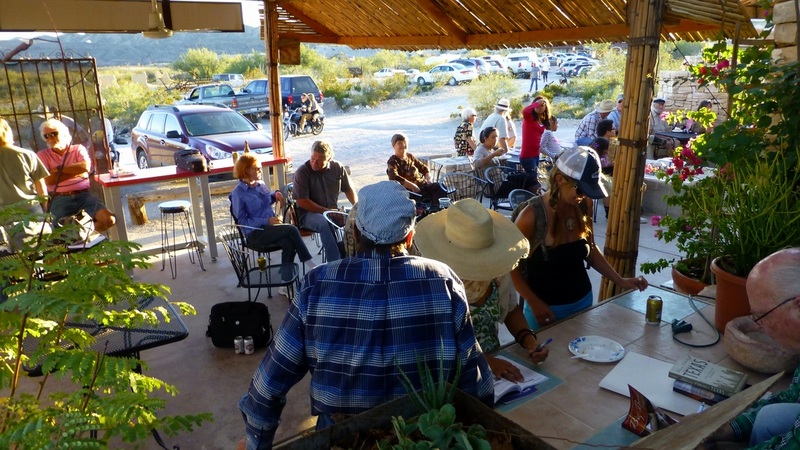 And a first meeting of the Terlingua Photographic Society. Never a dull moment in South County. November 2 marks the traditional Dia de los Muertos, Day of the Dead, in Mexico and other places around the world. In Mexico it is part of a three-day celebration on October 31 and November 1 and 2, marking All Hallows Eve, All Saints Day and All Souls Day. The holiday is to honor friends and family members who have died. 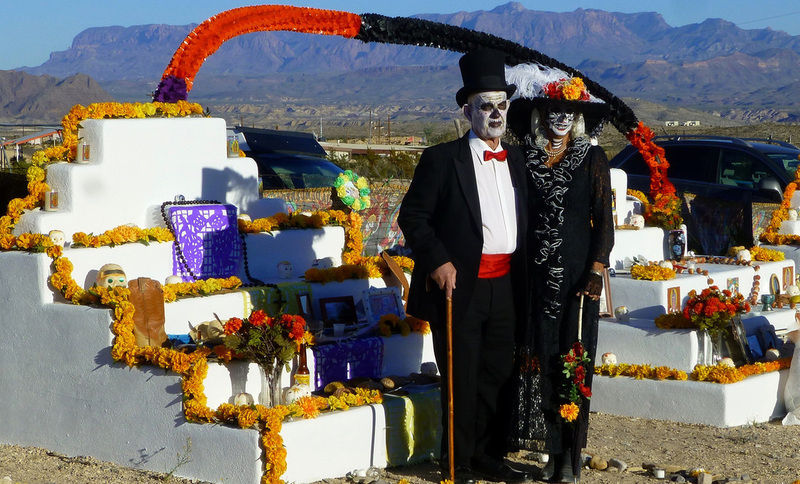 For many years there has been a Day of the Dead celebration the evening of November 2 at the historic Terlingua Cemetery in Terlingua Ghost Town. This year’s celebration had the largest crowd in recent memory. It is a respectful but not mournful celebration at the cemetery, which has been listed on the National Register of Historic Places. An altar is decorated and adorned with memorabilia to honor specific persons who have died. Some folks arrive in colorful traditional and some in less traditional costumes. As daylight wanes, candles are lighted and one is placed on every grave in the cemetery. A long table is spread with potluck food to feed everyone who has come for the celebration. In a setting near the altar, around a campfire, in full view of the twinkling candles, musicians play and people purposely reflect on the lives of their friends and family. 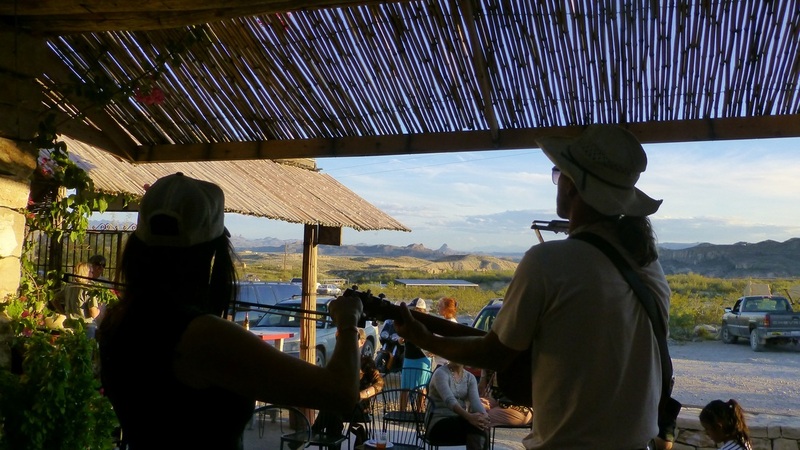 For the 19th year running the band of wandering Singer Songwriters known as the Terlingua Music Bash gathered in our Big Bend. For almost a week there was music everywhere, including a new spot. 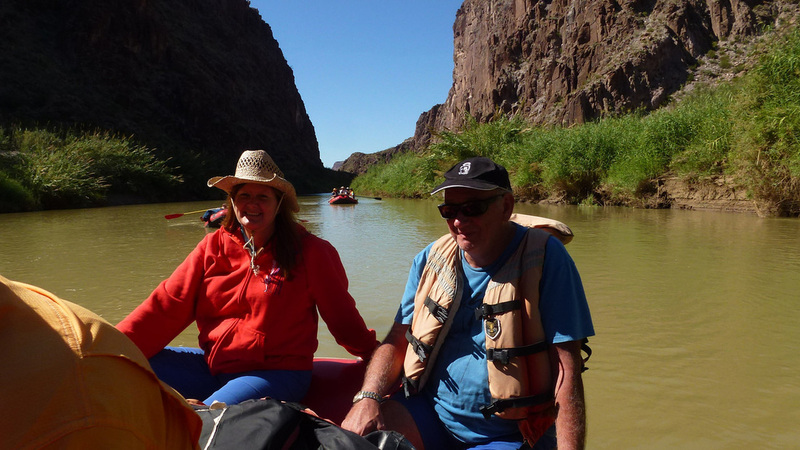 Jana Laven worked with Big Bend River Tours to sponsor the FIRST Annual Rio Grande River Float. The water was still high and the company was superb, coming from as far as Australia to share these magical moments. And the food! And the views, oh, my! Next year will be the 20th. Make your plans now for the 3rd week in October. 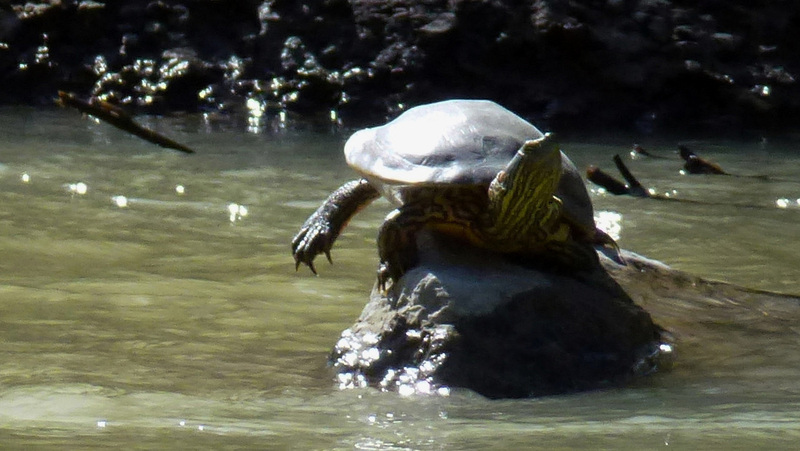 Riding the River Road to Presidio today. Stopped to take a shot of my favorite top of a hill scene. A hummingbird zoomed in on my RED Panasonic Lumix Camera. He was fascinated by it. I snapped. I got it! He stayed and let me admire him some more. 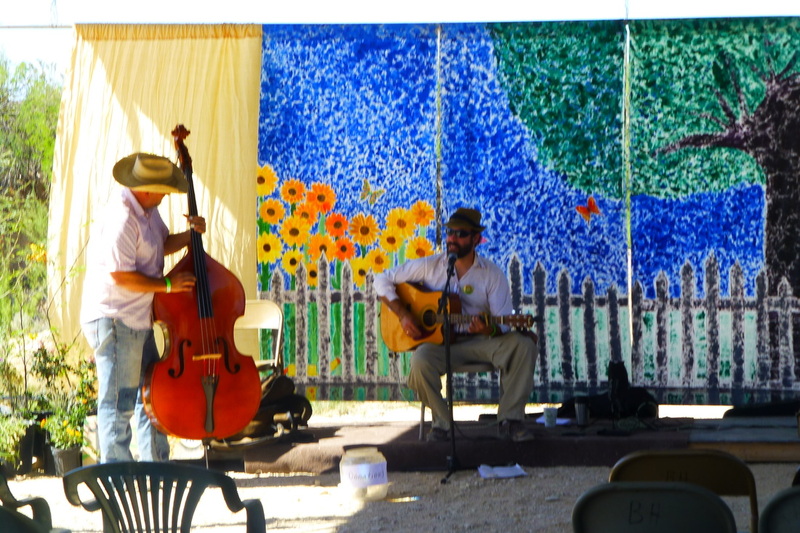 The September "Second Sunday Jam", to benefit the Terlingua Community Garden was held at the High Sierra in the Terlingua Ghost Town on Sunday, September 8. Hosted by Pat O'Bryan and performed by numerous Big Bend musicians, the monthly musical jam session raises funds for a different worthy cause each month. 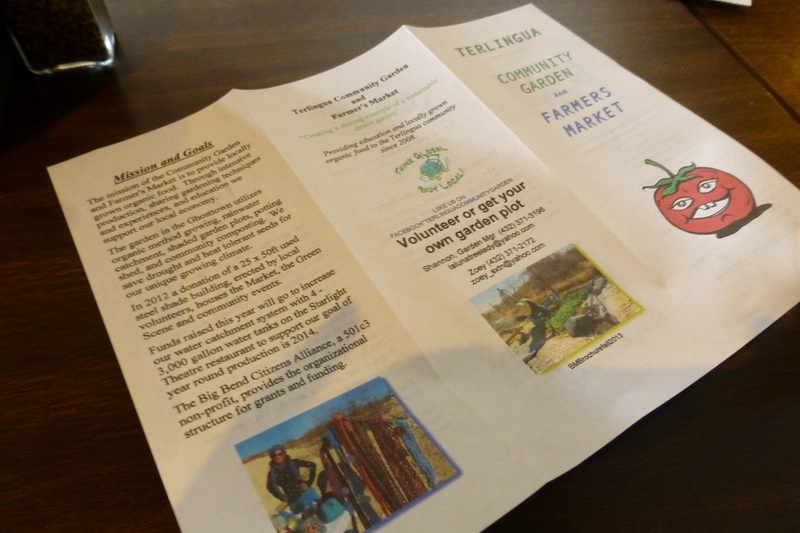 The Terlingua Community Garden is a 501(c)3 nonprofit organization, which provides locally grown organic food, desert gardening education, and a Saturday Farmer's Market for the community. 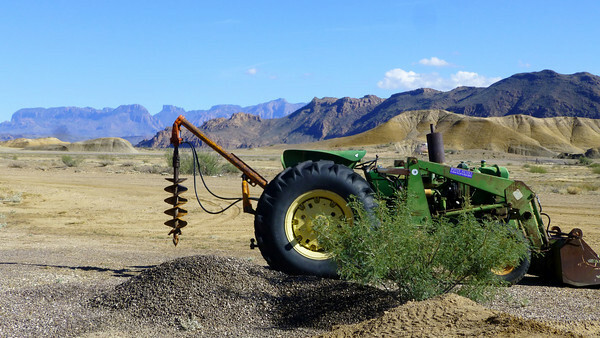 The Mission of the Terlingua Community Garden is to provide local, organic food to the community, through production, sharing, and education. The garden also provides plots for individuals to grow their own food. The Community Garden's goal is to become the first fully sustainable garden in this part of the country that uses rain catchment for year-round food production. The garden facilities have been steadily improved over the past few years. The current planned improvement is to install four additional water catchment tanks to catch rain water at the Starlight Theater for use at the nearby community garden. The September Second Sunday Jam was a fund raiser to contribute to that project. 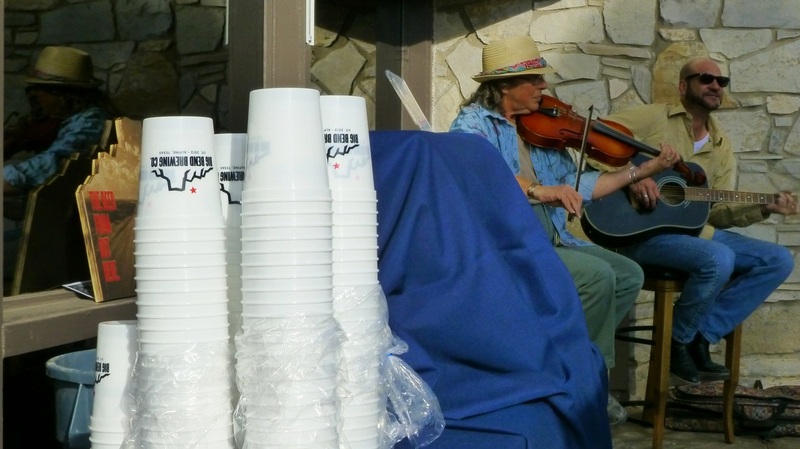 Between musical performances, donated pies, other food items, and local crafts were auctioned. The crowd filled the High Sierra to enjoy the music and the food. More than $600 was raised to benefit the garden. If you missed this but want to help, there's a paypal button here. Next up, the Terlingua Community Garden is sponsoring "Makin Applesauce" on Thursday, September 12, at 5:30 p.m. in the kitchen at the Family Crisis Center in the Terlingua Ghostown. Attendees will learn traditional canning methods, recipes and how to make applesauce from scratch. May 23, 2013 — It’s time to celebrate a milestone for Last Minute Low Budget Productions. 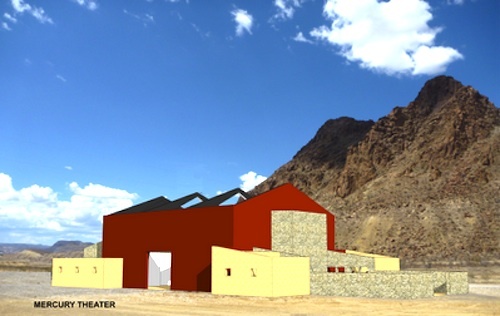 The LMLB plans to celebrate the closing of a land transfer from Terlingua Fire and Emergency Medical Services (TFEMS) to Last Minute Low Budget Productions, and begin to finalize construction of the Mercury Center for the Performing Arts in Study Butte. 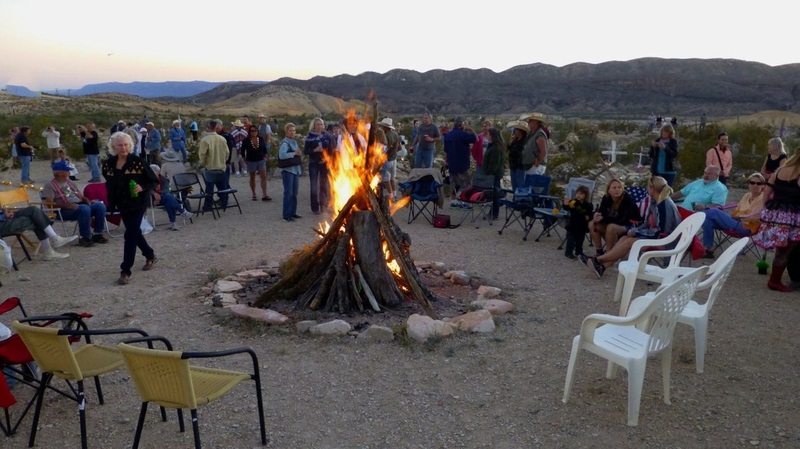 To show appreciation to TFEMS and the Terlingua community, LMLB is hosting a reception at High Sierra at 6 p.m. Thursday, May 23. Appetizers will be provided, and beer and wine may be purchased at the bar. The deed transfer to LMLB will take place around 6:30. Here’s the skinny on LMLB and its long journey toward getting its own building: You know what a hard-working crew the Last Minute Low Budget Productions is when it comes to our favorite plays. But did you know the dream they have of building a community theater is one step closer? 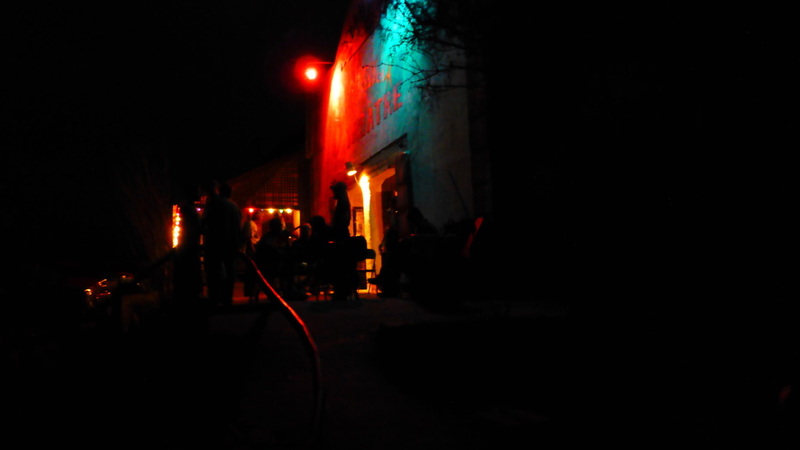 For a full decade LMLB was graced with a performing venue known as the Theater Behind the Store. This facility was as basic as it comes; yes, it had bathrooms and electricity, but other than that it was simply a tin roof tied by wire onto rafters, a concert floor and one stone wall. Three outside walls, stage, seating, backstage, lights, sound all had to be constructed — and then removed and stored for two weeks every year to make room for another organization. The inconveniences were multiple: no heat or air conditioning, shows delayed by thundering rain on the tin roof and, always, the annual tear-down, storage and rebuilding of every single piece of the theater. 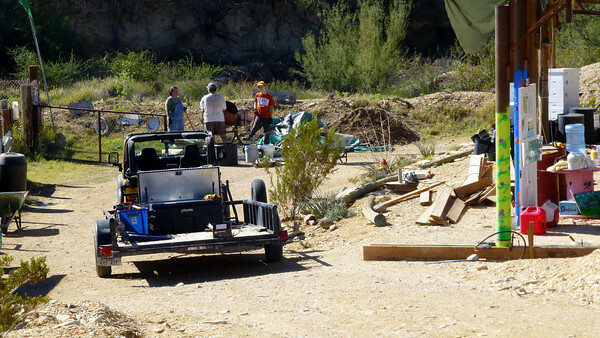 In the fall of 2010, the Board of Directors of Terlingua Fire and Emergency Medical Services (TFEMS) decided to donate, rather than sell, two acres of property to a local non-profit organization. TFEMS selected LMLB Productions as the entity best suited to receive this donation. In December 2010, LMLB President Trevor Hickle and the TFEMS board met to formalize the arrangement. The land transfer agreement with signed on September 11, 2011, by LMLB President Martha Stafford and TFEMS President Steve Beckett. On November 5, 2012, Stafford met with the TFEMS board to document that all caveats of the land transfer had been met by LMLB. The building of the Mercury Theater for the Performing Arts became a “must” rather than a dream when the Theater Behind the Store venue was lost in November 2012 due to ownership issues. While the loss of venue was an unexpected surprise, LMLB lived up to the mantra, “The show must go on,” and produced its regularly scheduled winter show in a space donated by a local business. The LMLB Board of Directors is committed to future productions, regardless of scrambling for space until our permanent theater is ready. And that won’t be long! The board understands that the building this theater must occur in increments: a roof, walls, utilities — and we’ll open the theater. After all, we have quite a bit of experience of producing high-quality theater in a jerry-rigged space … and we can live with lawn chairs for seats for a while longer. Our beautiful little space will unfold and develop a step at a time while we stay true to our mission of presenting the performing arts to the Terlingua community. In addition to use by LMLB productions, the Mercury Theater will be available for use by other community organizations. The board envisions groups holding classes, trainings and meetings in the building as well as school programs, performances and graduation. As the space will be climate-controlled, events can be scheduled throughout the year, which could help offset the summer slowdown. 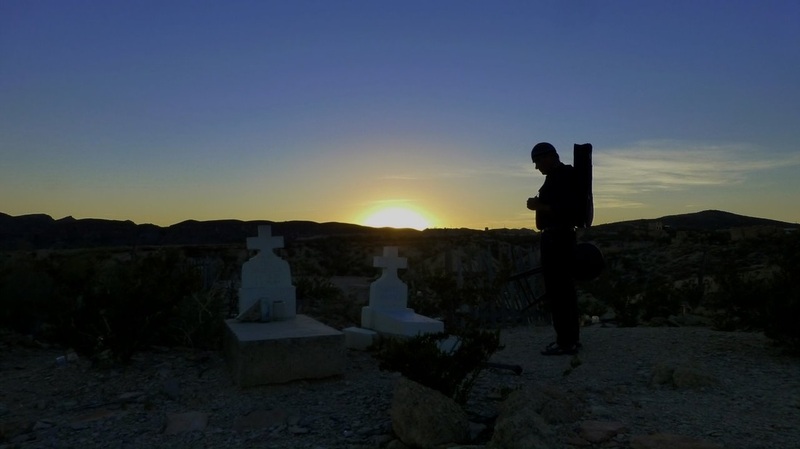 Last Minute Low Budget Productions is a non-profit community theater group that began putting on plays in the Terlingua area in 1989 and averages three to four events per year. The all-volunteer cast and crew hail from the area; new thespians are always welcome. For more information, contact Martha Stafford, president of LMLB, atmstafford@terlinguacsd.com, or visit http://www.lmlbterlingua.org. 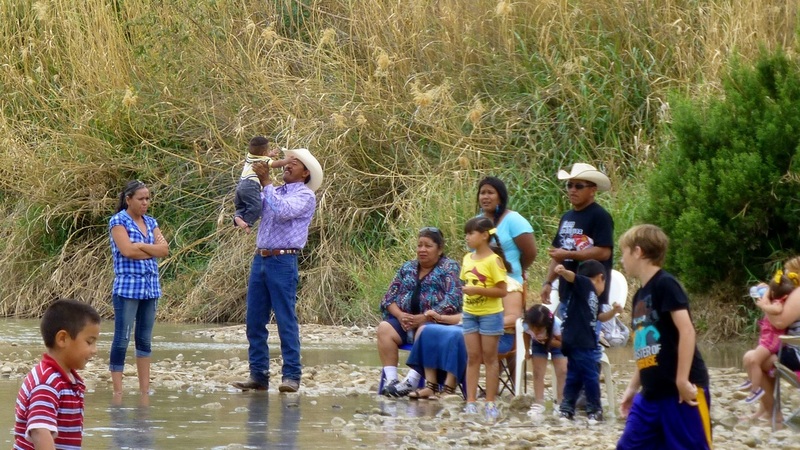 The inaugural “Voices From Both Sides — A Reunion At the Lajitas Crossing” was held on the banks of the Rio Grande on Saturday, May 11. 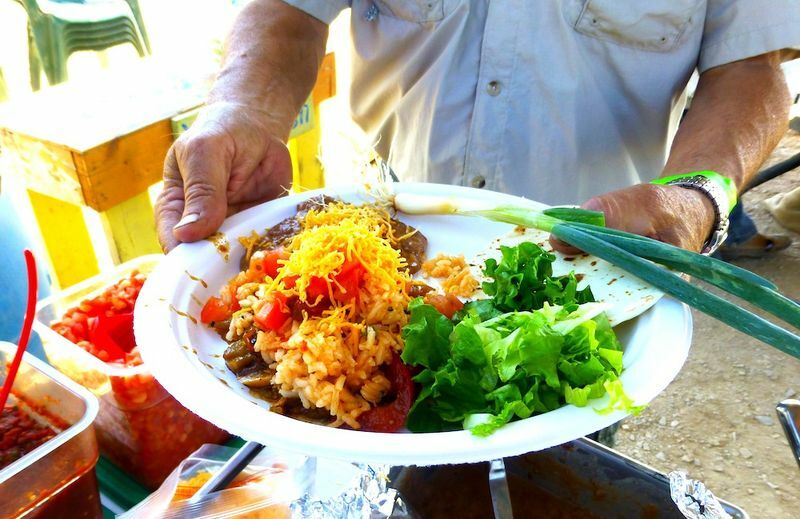 The event was a fiesta with music and food for Texans on the north bank of the river and Mexican residents on the south bank of the river. Many of the participants met for camaraderie in the water in the middle of the river and at water’s edge along the riverbanks. There were many tearful but joyful reunions of friends and relatives in the river. One Terlingua teacher met again with several former students she hasn’t seen for almost a dozen years. A mother hugged her daughter — one from each side. 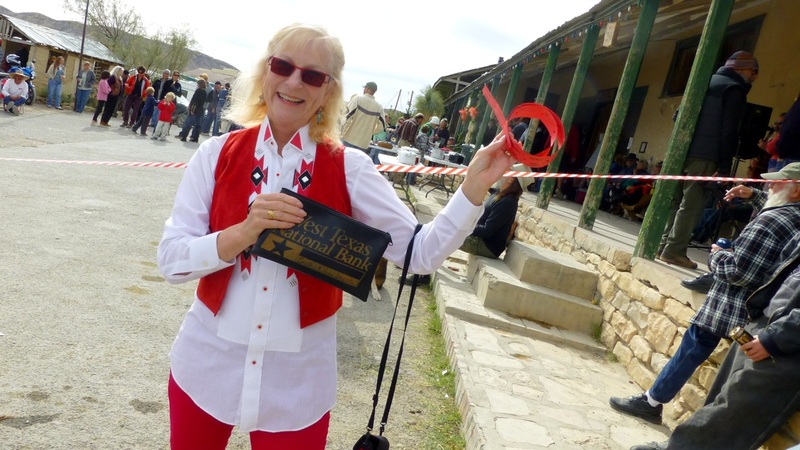 A lady from Terlingua embraced her grandson from Paso Lajitas. Music played throughout the day. A mariachi band played on the south bank of the river. 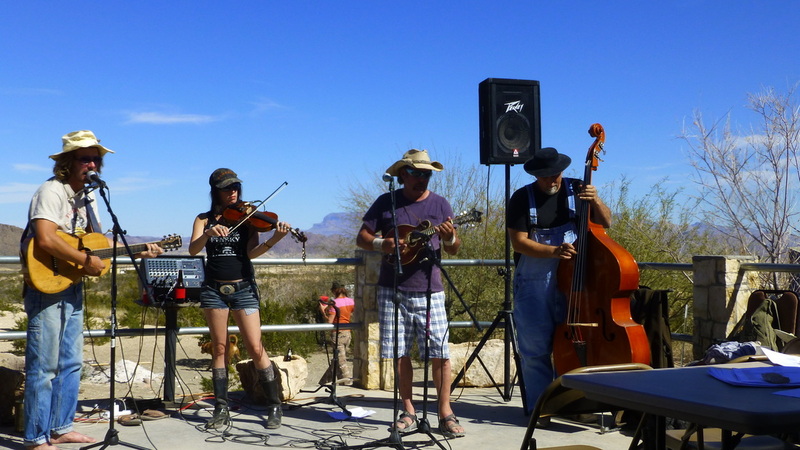 Numerous Terlingua area musicians played on the north bank overlooking the river. Folks danced on both sides and in the middle of the river, too. 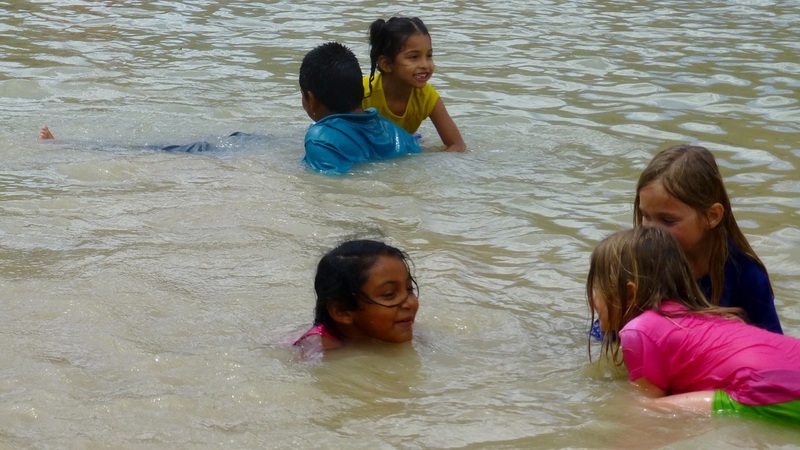 Kids, some of whom were cousins from both sides, swam and splashed and ran and giggled. There were a couple of brief speeches. Terlinguan Jeff Haislip welcomed everybody to the event, and San Carlos, Chihuahua Presidente (Mayor) Ramon Garcia welcomed the crowds and thanked the participants for attending the festival. 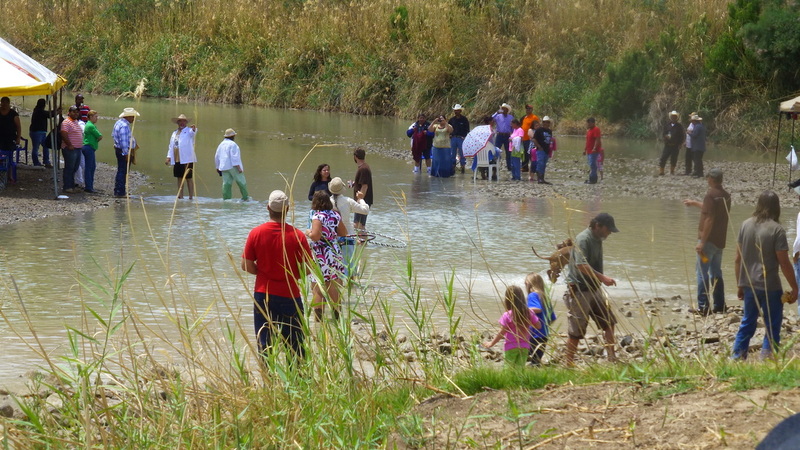 The event, organized and orchestrated by local residents Jeff Haislip and Collie Ryan, with several trips to meet with counterparts in Mexico, is intended to restore some of the sense of common community between Lajitas and Paso Lajitas, the northern and southern portions of the historic community which existed for centuries on both banks of the Rio Grande. A historical marker states that Lajitas Crossing dates back to its use by pre-Columbian Indians and later by Spanish Conquistadors. The use of the crossing was abruptly terminated on May 10, 11 years ago in the aftermath of the 9/11 terrorist attacks. Participants Saturday were greeted with a light rainfall as the event kicked off at 2 p.m. but were soon greeted by light, wispy clouds and blue sky. 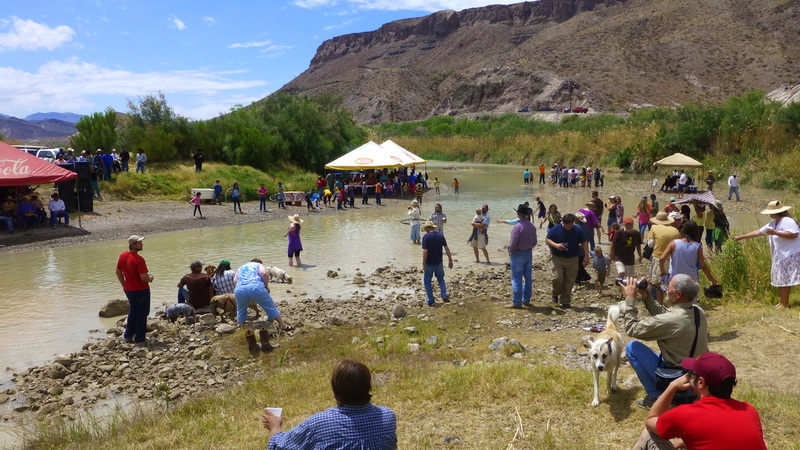 The temperature, which barely reached 80 degrees, was a pleasant surprise for a Rio Grande event in mid-May. The planning for the event was coordinated with the U.S. Border Patrol, which emphasized the need for the U.S. citizens not to make landfall into Mexico, while Mexican citizens ought not cross onto the banks on the U.S. side. 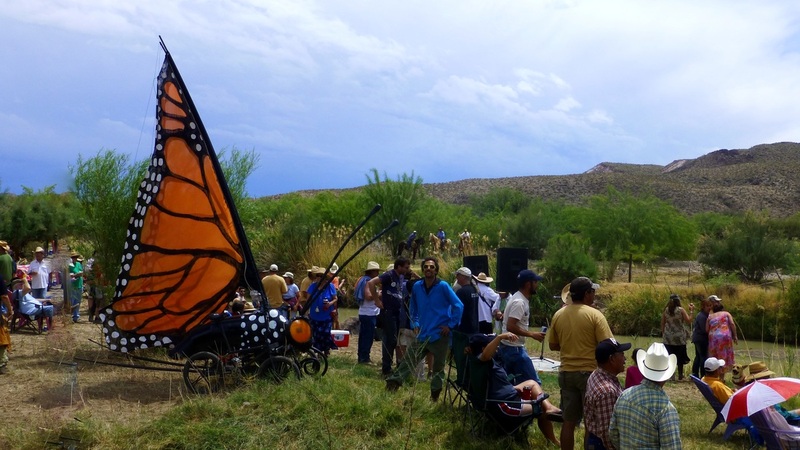 The event also was broadly supported in the greater Terlingua and Lajitas community. Shade was provided by Desert Sports. Refuse collection was taken care of by Far Flung Outdoor Center. 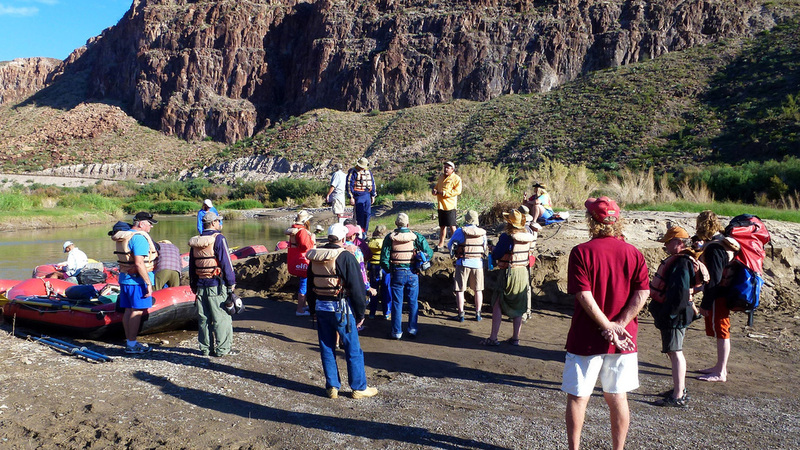 Water stations were provided by Big Bend River Tours. The location on the U.S. side was provided and graded by the Lajitas Resort. Bobbie’s Blues and Barbecue was on-site with delicious food served free of charge. Solar POWER for the music was supplied by Casey Colando of All Energies - Alternative Energy System Design and Installations. Our border is like no other with families separated only by politics. 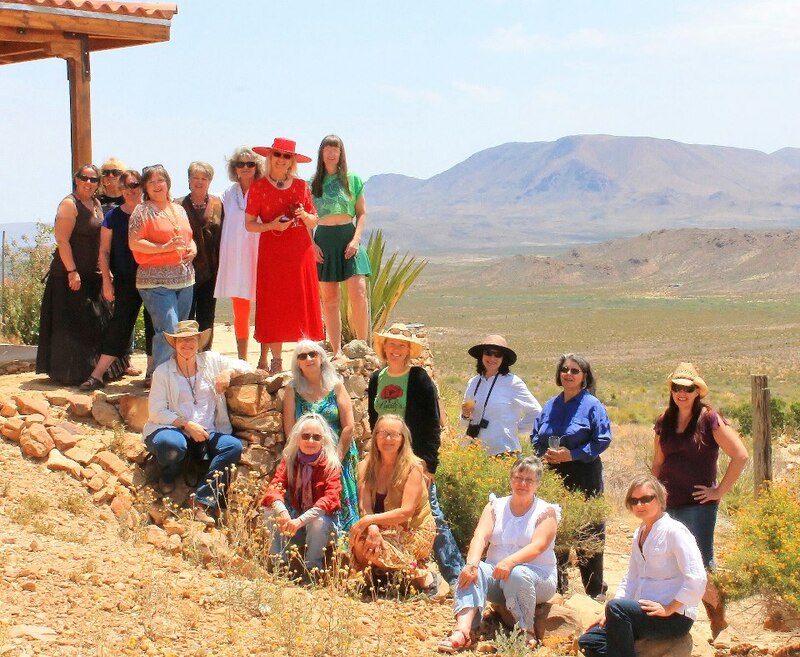 The 2013 Terlingua Goddess Party was hosted by Reine Wonite on May 4th at Casa del Corazones. 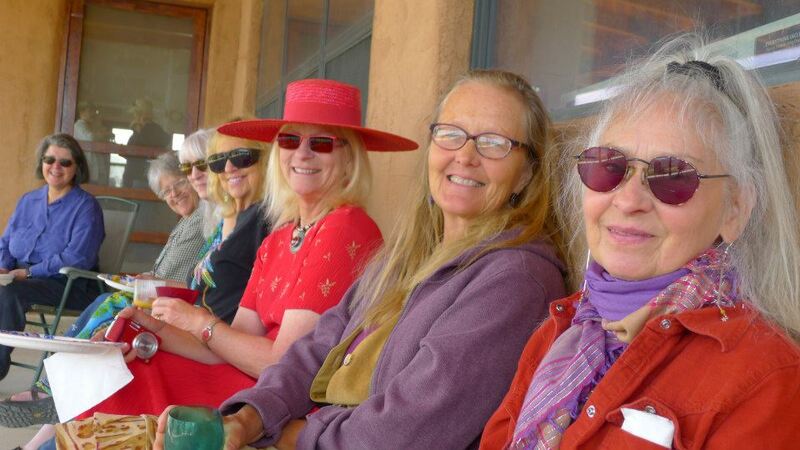 This Terlingua Goddess party annual tradition of a potluck mimosa brunch was started about ten years ago by Janet Sullivan. When she died, Elizabeth Thompson volunteered to host the next party at her house as a memorial. She featured Janet's eclectic collection of stemware and Goddess cards as a memorial. It's been a tradition every since to gather the first weekend in May, with the location and hostess being passed along each time. Martha Stafford, Barbara Cole Taylor and Bernadette Devine have each provided us a unique place to gather to share and build memories. There are so very many talented and caring women in our Big Bend and this annual gathering has given us space and time to share. 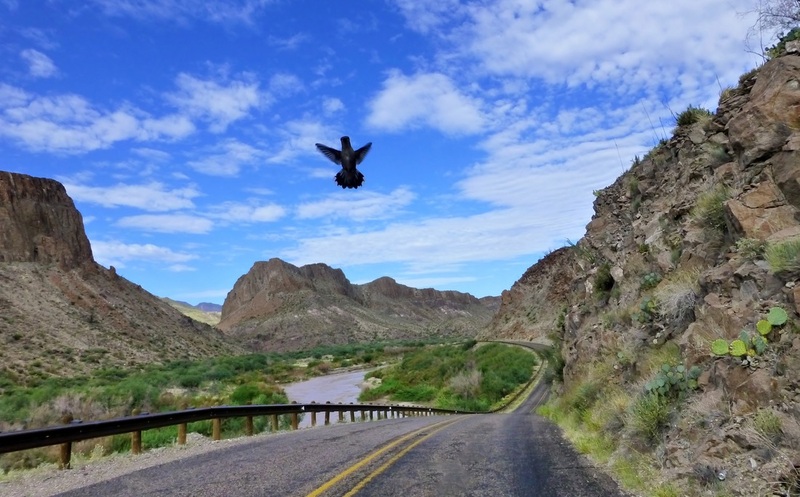 "The Big Bend country is a hotbed of spendiferous Goddess Energy! 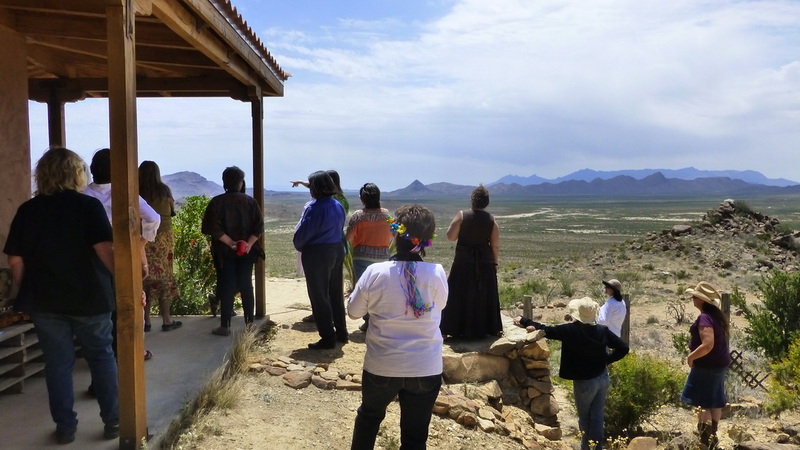 Let Terlingua Goddesses gather together to celebrate once more. Reconnect with old friends and make new ones." Despite all the busy schedules getting there was a priority for me and many others. With memories of past gatherings, the magic is hard to resist. Bearing gifts of our finest tasty treats we ascended to Casa del Corazones, the dream home of Reine Wonite, a magnificent work still in progress. Though the road was rough and rocky, determined Goddesses arrived, not in limousines, but jeeps, 4 x 4's, trucks, street cars and even a 4 wheeler. The wide spot in the road became a parking lot with a short steep hike to the most magnificent views. Reine shares her vast knowledge of the mountains and the valleys surrounding her home. 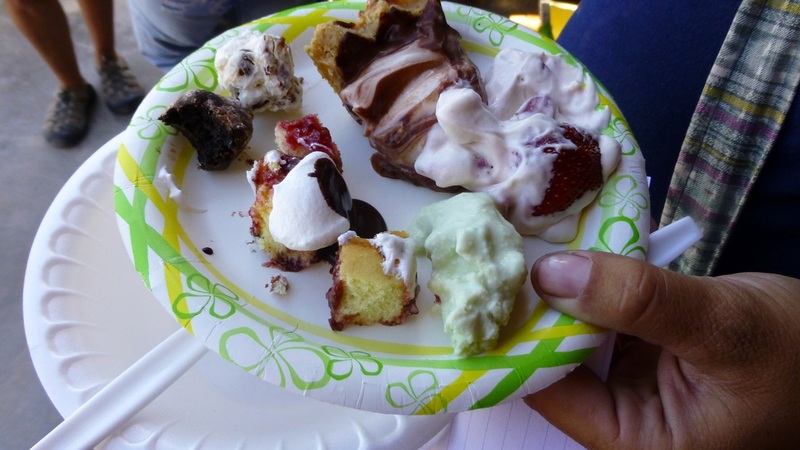 This is one gathering where desserts outnumber entrees by a wide margin. Jane Brown added the musical accompaniment. Five hours passed like a minute and suddenly the spell was broken and we all departed - with gratitude for a most amazing place shared with new friends and old. Next year, the plan is to meet at the Rock House on the first Sunday in May. You might arrive the night before and you're welcome to stay the night after as a few hours on a sunny May day isn't nearly enough. Pam Ware has agreed to be our hostess. 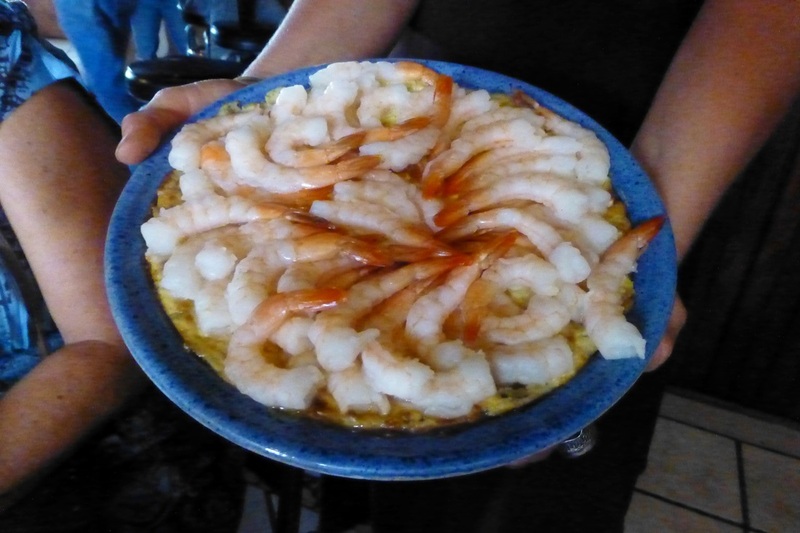 What will you bring to share, fellow Terlingua Goddesses? I do love checking their page for news of our Big Bend almost every day. Maybe you'll like it too. 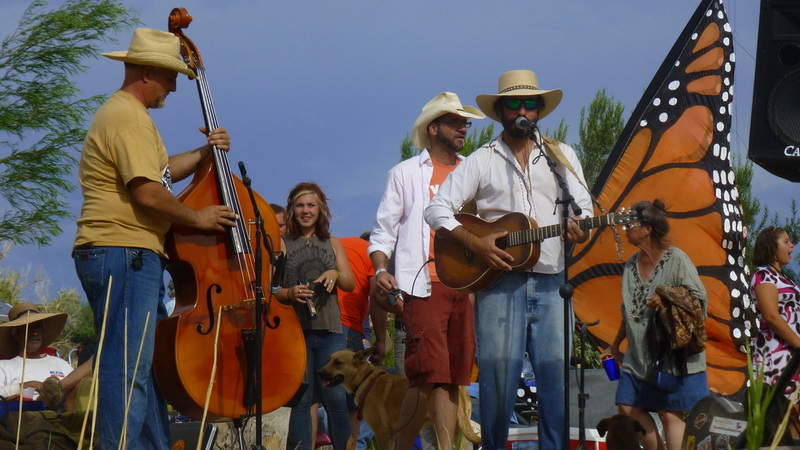 The 2013 Terlingua Green Scene, the 5th annual, was held Saturday, April 6, in Terlingua Ghost Town. Few would have believed the dream Zoey Sexton and Shannon Carter dreamed in the dry desert town of Terlingua. Green. But dream they did, and they made believers one person at a time. Asking just a little from this person and that, they grew a group of doubters into a gang of dedicated workers. It’s easy to believe in it now. 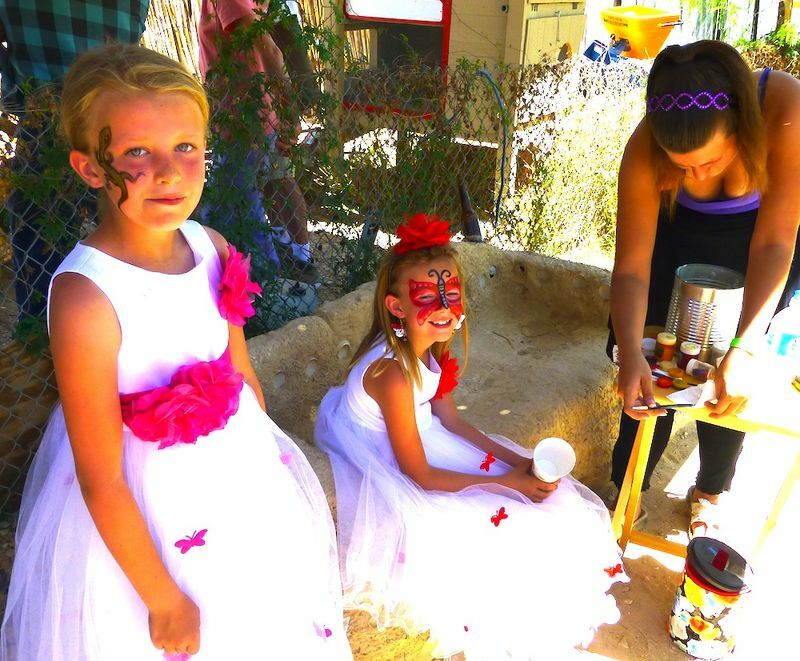 This Green Scene, an annual affair of sustainability and creativity, is sponsored by the Terlingua Community Garden, which is a 501(c)(3) non-profit organization. The goal of year-round food production using rainwater garners great support from the community. 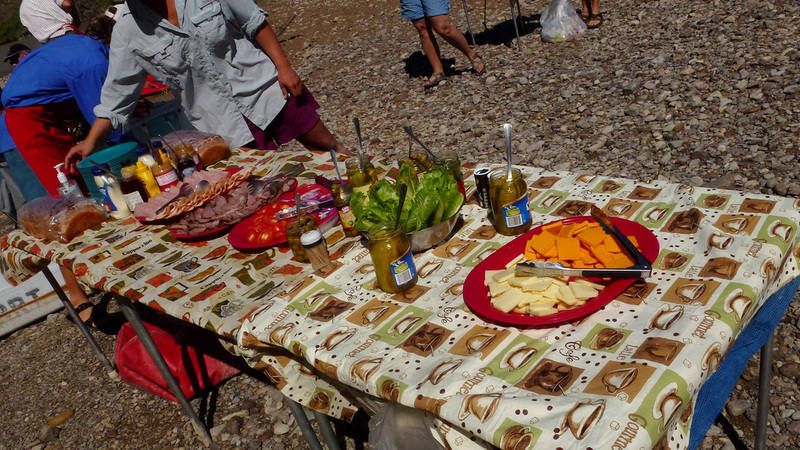 An informal gathering of members provide locally grown organic food, desert gardening education and a Saturday Farmers’ Market for the community. 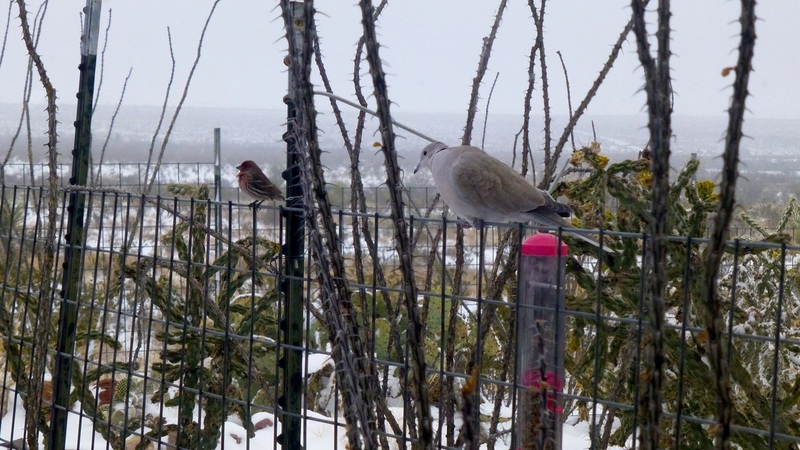 Founded in 2008, the Terlingua Community Garden’s lofty goal is to be the first of its kind in this part of the country to use rainwater for year-round food production by 2014. Last year the Garden was able to buy a 3,000-gallon tank and to erect a 50x25-foot shade structure with the proceeds of the annual Green Scene fundraising celebration. In response to this community generosity, another individual donated a second tank. 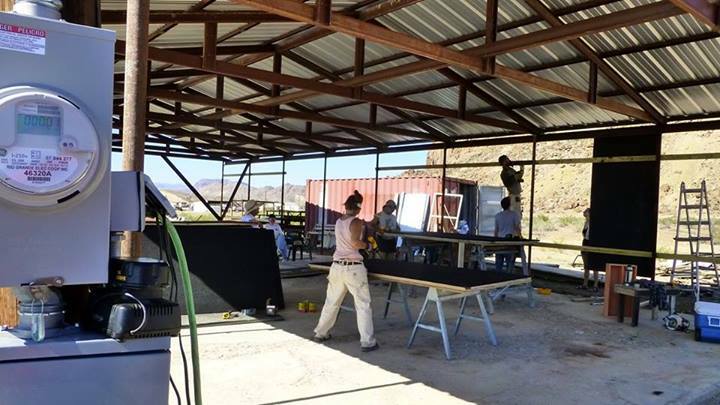 This year’s goal is lofty — to raise the $10,000 that will be needed to build a three-tank water catchment system at the Ghost Town’s Terlingua Trading Post and Starlight Theatre to catch and transfer water to the garden. Almost every member of the community contributed talents of one kind or another to this huge fest. There were singers and dancers and artists and educators and filmmakers. 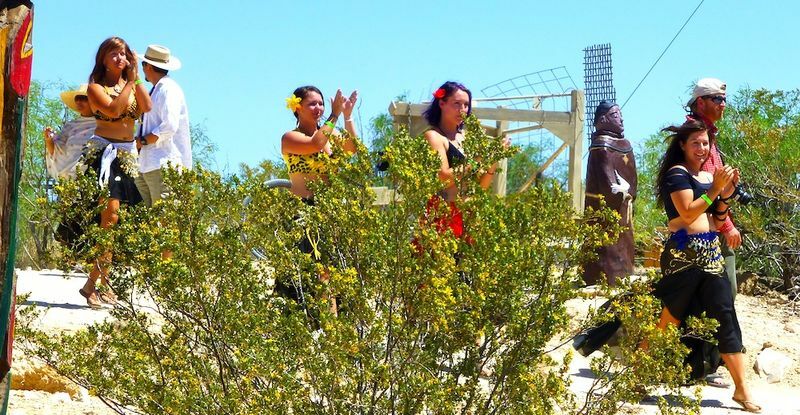 There was music, dancing and storytelling donated by a varying group of talented musicians. There was an auction of items donated by community members. Neighbors shared their knowledge of green living and building in several seminars. 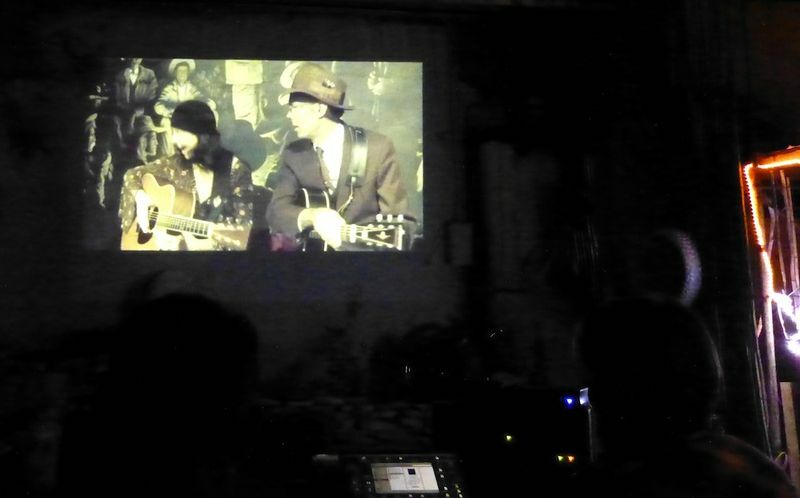 The finale for the daylong activities was a screening of 9 videos presented by their filmmakers. Music and merriment rang late into the night. 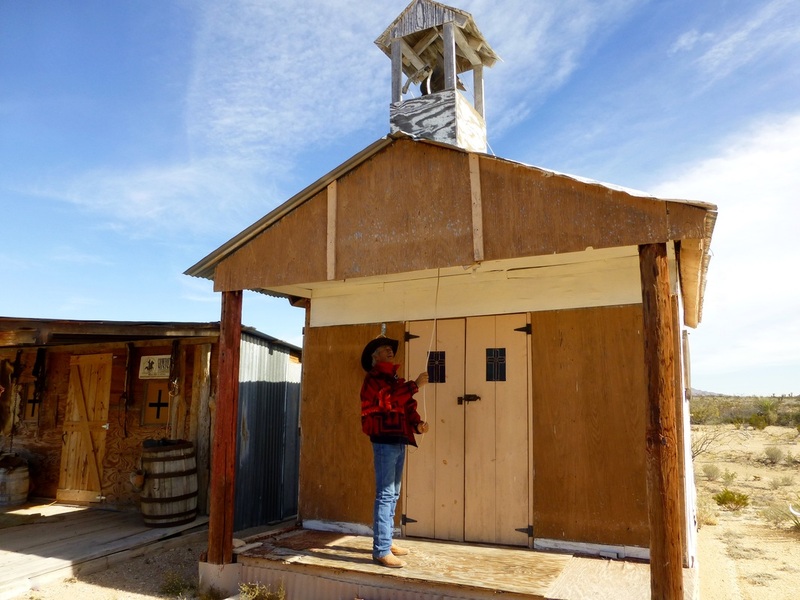 Willie Nelson once recorded a song which begins, “They all went to Mexico...” and today for the first time in 11 years that was true for the small Coahuila village of Boquillas del Carmen. The new United States-Mexico border crossing at Boquillas, which lies across the river and border from Big Bend National Park opened Wednesday, April 10, at 9 a.m.
A vanguard of U.S. officials from the National Park Service, the Department of Homeland Security, and others waded the shallow Rio Grande to meet and greet their Mexican counterparts even before the boat to cross the river began ferrying local residents and tourists to the southern bank. The informal crossing at Boquillas and numerous other such crossings were closed 11 years ago in the aftermath of the tragic terrorist attack on 9/11/2001. Today, after several years of planning and negotiations, the new automated Class B crossing opened. A 16-foot flat-bottom rowboat ferried passengers who were met on the Mexican riverbank by some of the remaining 100 or so residents of Boquillas. Horses and a few pickup trucks were available to transport people the approximate one-mile, semicircular route to the village. 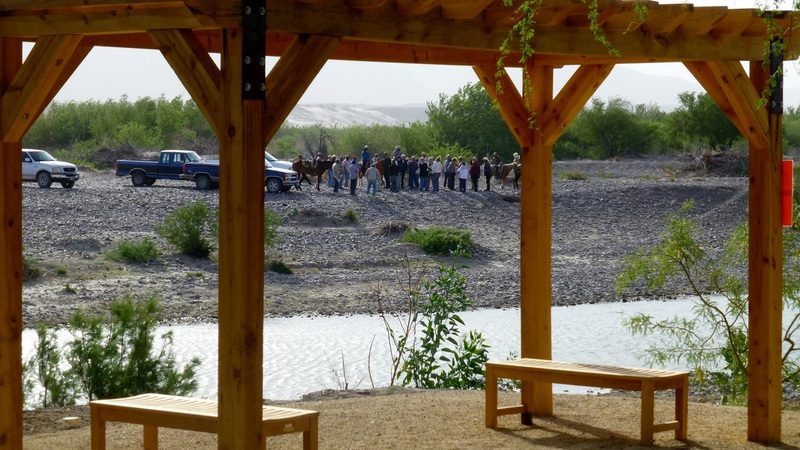 Several longtime residents from South Brewster County had emotional reunions with friends from Boquillas, for some for the first time in many years. 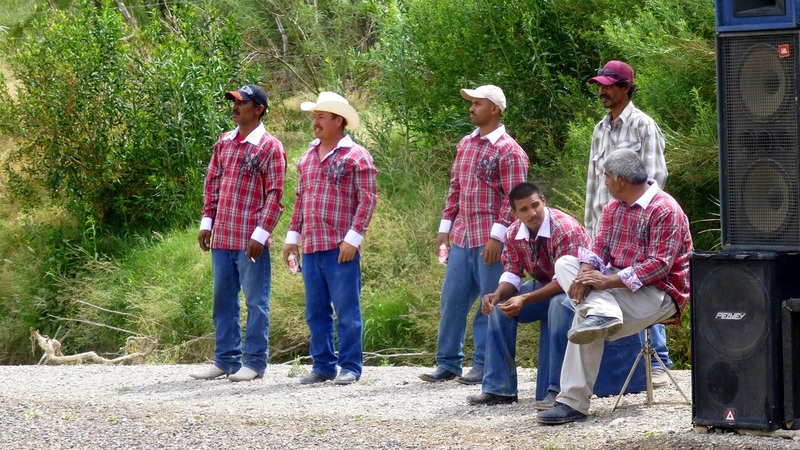 Border officials from both countries were ready for the on-again, off-again, on-again, off again opening of Boquillas Crossing. The local residents of Boquillas worked tirelessly to catch up with the flood of people who took advantage of the opening to go to Boquillas on the first day of its resurrection. 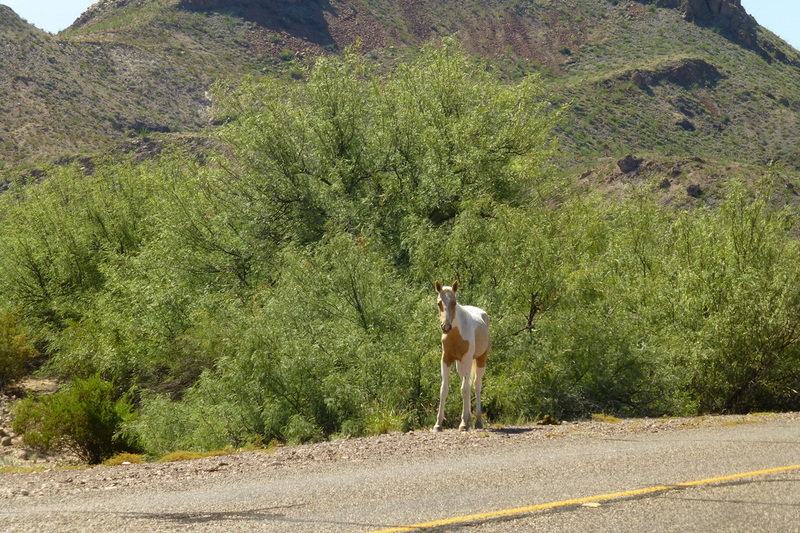 The economy of the village had depended heavily on tourism from Big Bend National Park for many years. 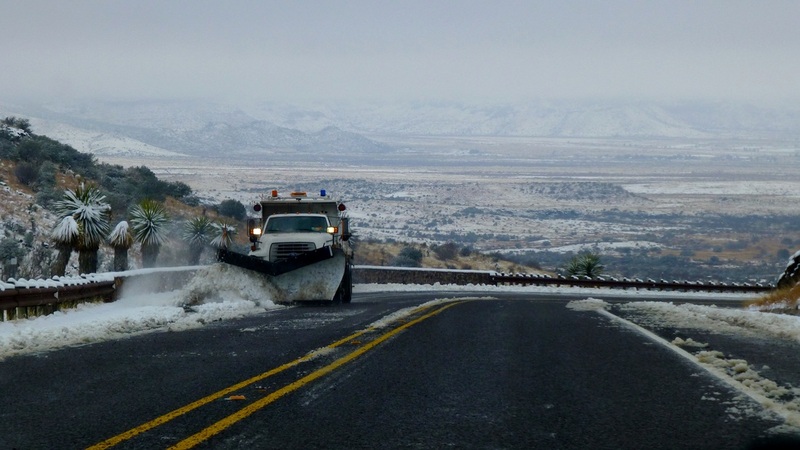 The closing of the border devastated the village’s economy and caused two-thirds of Boquillas’ residents to leave over the years following the closing. 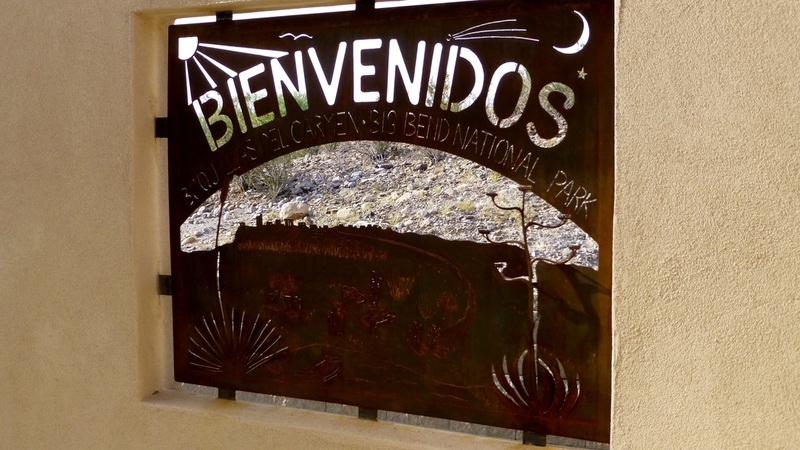 With the reopening of the border, the village is beginning to open stores, a cantina, one or more restaurants, and a visitor center with a marketplace for locally made craft items, recently only available on a clandestine basis along the trails and overlooks in Big Bend National Park. Within a few months, they expect to have the ability to host overnight guests in homestays. 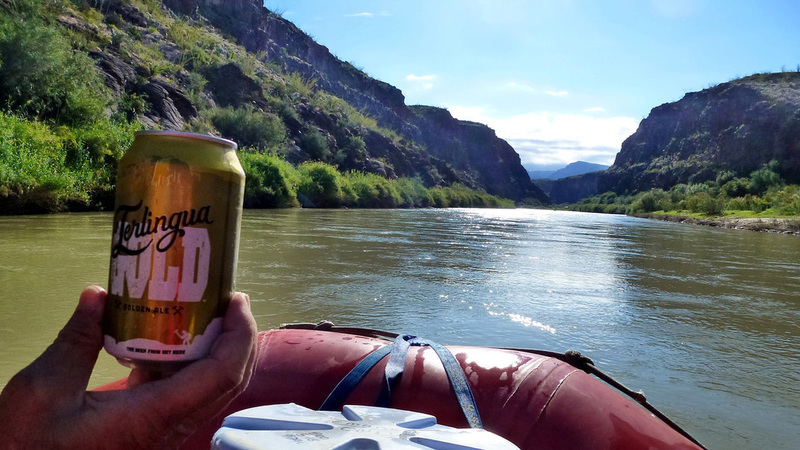 We were among the first to ride the boat across the Rio Grande, but when we arrived at the village and found where food was available, we encountered eight U.S. Border Patrol officers already seated and eating breakfast. The official process to enter Mexico and return to the United States was straightforward. At the village, the Mexican Government has a facility where visitors fill out a simple entry form and also check out when departing the village. On the U.S. side, the National Park Service and Department of Homeland Security jointly operate a visitor center and entry station. A park ranger is on duty, but the formal re-entry into the U.S. is handled at automated kiosks where a passport or border identity passport card, which is required, is scanned and where the person entering the U.S. may talk by telephone to an Immigration and Customs official in El Paso. Because Murphy’s Law almost always applies in such circumstances, one of the two kiosks was out of order. The crossing will be open Wednesdays through Sundays, from 9 a.m. until 5:30 p.m. It remains illegal to cross the border at any time the crossing is not open. 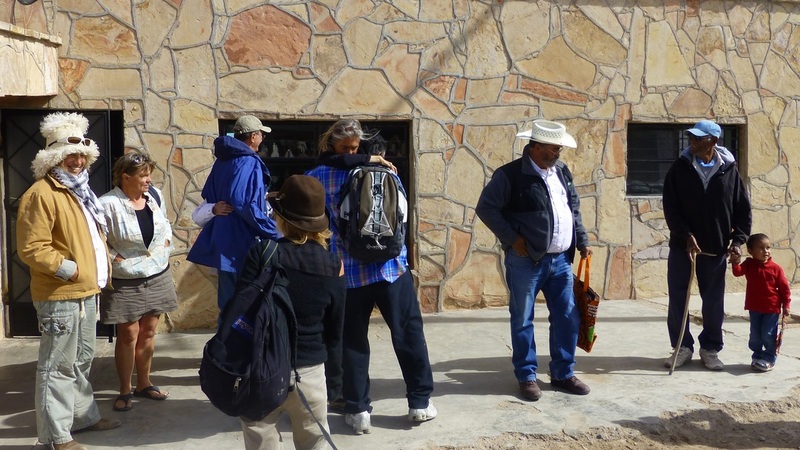 We were pleased to take part in the first organized tour of Boquillas, during which we were shown some remnants of early mining, a residential area which was flooded in 2008, some new housing built following the 2008 flood, and the commercial area which is now able to come back to life. It was a festive day in Boquillas and the entire village was full of smiling faces, handshakes, hugs and a few tears of joy, too. The river road in Big Bend National Park was teeming with cactus. Take a jeep drive with us as we toured it Tuesday. We met one car in the whole 53 miles! the whole road was in great shape. Please tell me if you like Smugmug better than my old Photobucket. Thomas Alex, is the author of "Images of America: Big Bend National Park and Vicinity." His writing is as precious as his historic photographs. 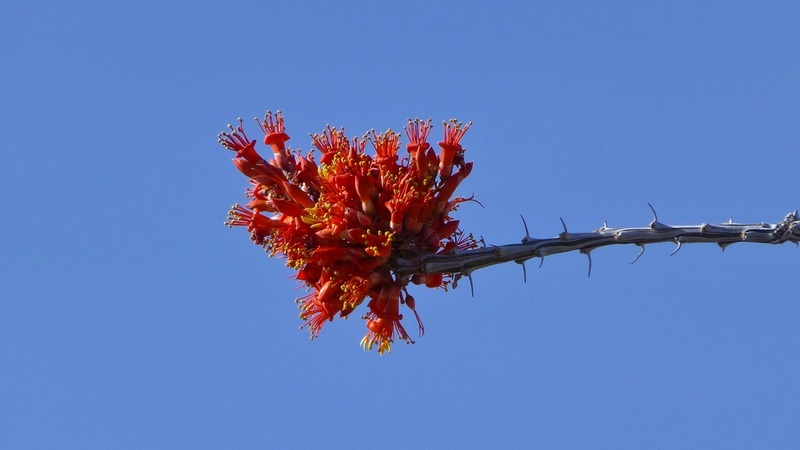 "Many who come to Big Bend have difficulty accepting the seemingly harsh face of the desert with its thorny scrub brush, cactus, and apparent desolation. But those seeking deeply with their inner being can begin to touch the occult mystery of the desert that slowly unfolds like a blossom on a prickly pear." 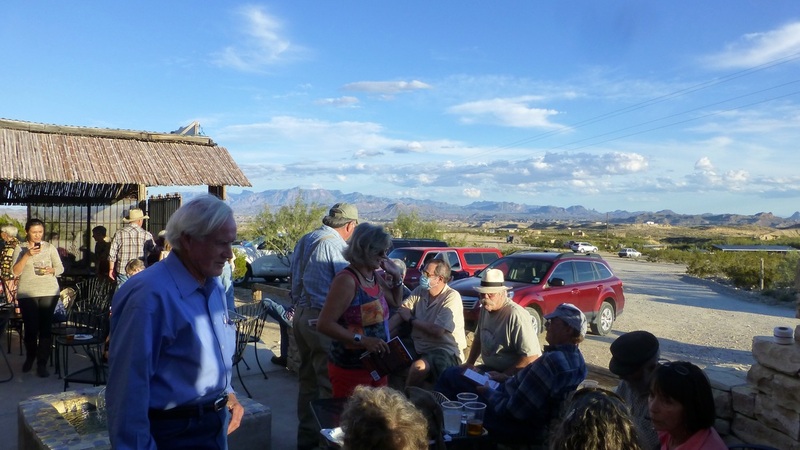 Wednesday evening, the Patio of The Chisos Mountain Lodge in Big Bend National Park was the setting for a most entertaining gathering. Local authors, Elizabeth A. Garcia, Rawles Williams, and Thomas Alex talked about their love for this area and the books they had written. They graciously signed personal dedications as book lovers listened to the folk music of Trevor Hickle and Charlotte Teer. With the backdrop of the Window the sunny and cool evening was capped by a glowing golden sunset. To make it all finer Big Bend Brewing Company beer was plentiful! 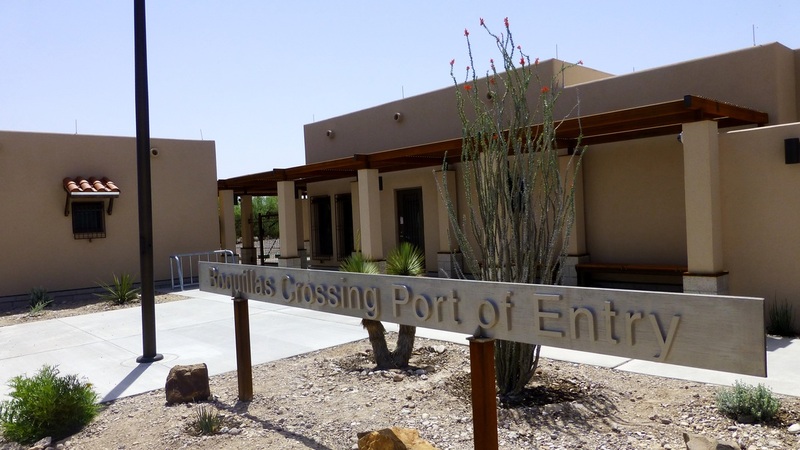 Rawles Williams authored, "Boquillas Crossing." With a little help from his friends, life just past the turn of the century comes alive in this fictional but historically based view into the Big Bend of Texas. 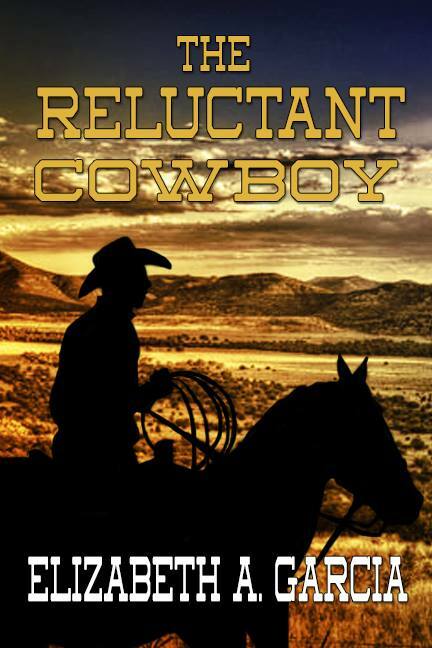 You'll want to read this so you're ready for his next, as Rawles is now hot on the trail of a sequel. 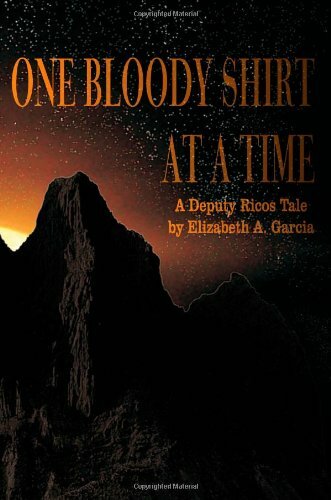 Elizabeth A. Garcia debuted "The Beautiful Bones", the second of the Deputy Ricos series." It had been a glittering fairyland when the sun began its climb over the mountains in the east. Three hours later, the ice had become big, wet droplets, unable to maintain its grip in a face off with the sun." 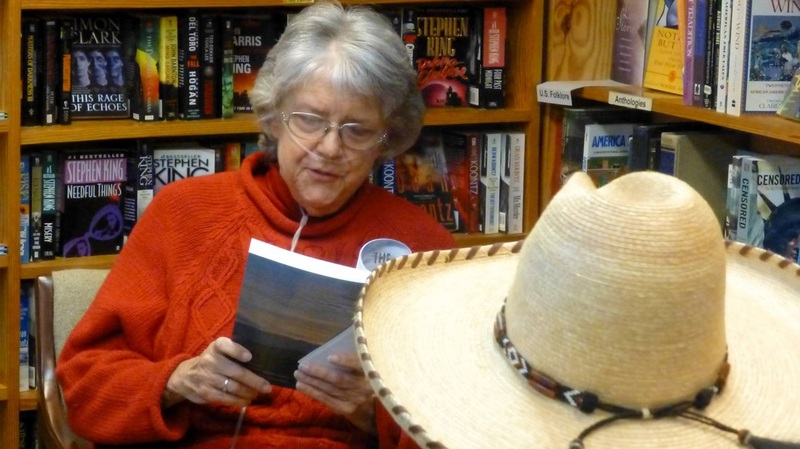 She really "gets" our Big Bend region and her storytelling will keep you riveted until the finish! Front Street Books in Alpine carries all of the books as does the Trading Post in the Ghostown and The Chisos Mountain Lodge gift shop. So, pretend you are a guide. 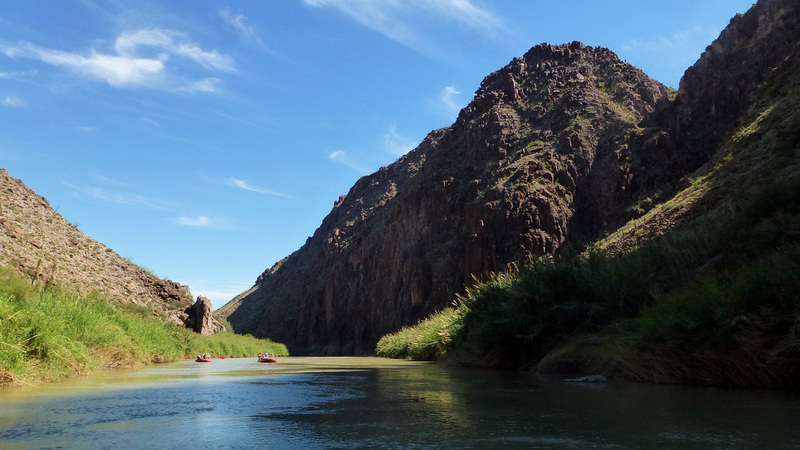 You and your guests have just passed through Santa Elena or Boquillas Canyon and have pulled onto the bank to spend the night. Or you just rode in with your hungry city slickers. You need to have a dessert. 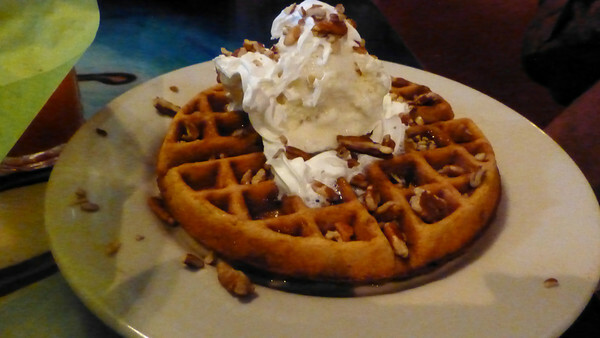 You have no electricity, propane, gasoline, or battery power to use in preparing your dessert. What is a guide to do? Thus began the Terlingua Cookie Chill Off. 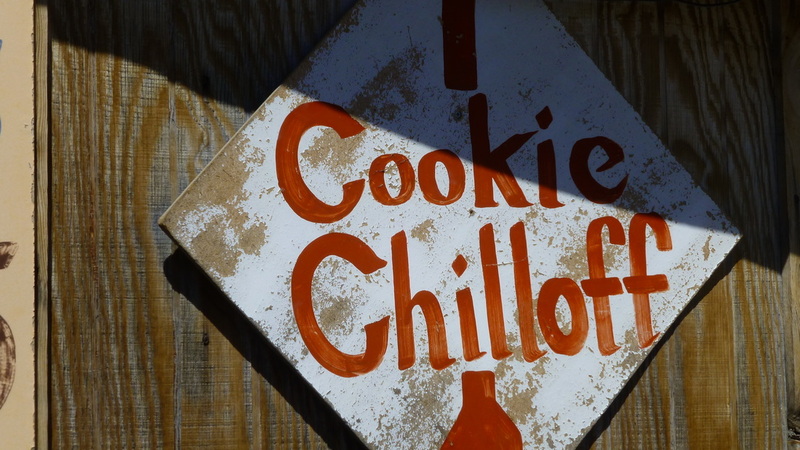 So once again the Umteenth Annual Cookie Chill Off was held at the Boathouse Bar in the Terlingua Ghost Town on Sunday afternoon, March 3. Desserts were prepared in accordance with the no electricity, no gas, no battery power cooking rules. There were distinct divisions for Guides, Restaurant Cooks, and Sweet-Toothy Neighbors. Categories included Cookies/Candy, Ice Cream/Sorbet, Pie, and Sugar Free (the sugar free category could be any of the three). The judges were forewarned not to have eaten lunch. All funds raised went to help our Last Minute Low Budget Productions’ dream of building our Mercury Center for the Performing Arts. We really appreciate the community support! Hosted by Trevor Hickle, the musicians jammed all afternoon with drop-by performances by Charlotte Teer, Nick Cooper, The Rocky Top Alien Breeding Experiment, Moses Martinez, Michael Combs, Maria Moss and Jon Hogan. In the Candy/Cookie Division, Debby Dickle. Restaurant Ice Cream - Avacado boys. Best of Show, George Womack's Mexican Vanilla Ice Cream. People's Choice, Pam Ware's Sugar Free Chocolate Almond Swirl. More great prizes, donated by most all of our local merchants, were won in the silent auction and raffles. And in Viking Chess and Petanque? All of the participants! 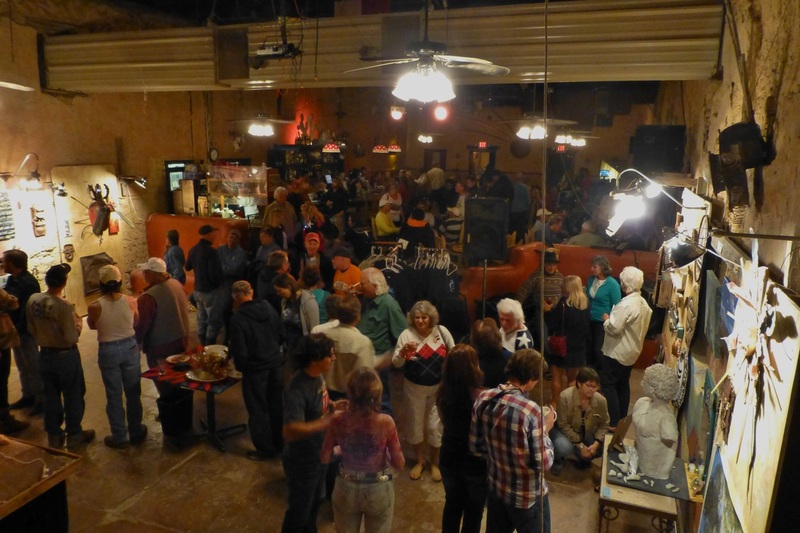 Terlingua's 4th Annual Funky Junk Art Show kicked off at the Starlight Theater in Terlingua Ghostown on Saturday evening, March 2. The Funky Junk Art Show is billed as "wonderfully warped" and the show is living up to its billing. The majority of the pieces entered in the show are constructed or conceived from old stuff found lying around the house, the shed, or the desert. Sculpture pieces welded together, paintings framed with old artifacts, and photographs mounted in unusual ways formed the core of the show. The opening of the show was a party for the artists and patrons alike, with a theme of "white trash" and most excellent hors d' oeuvres. 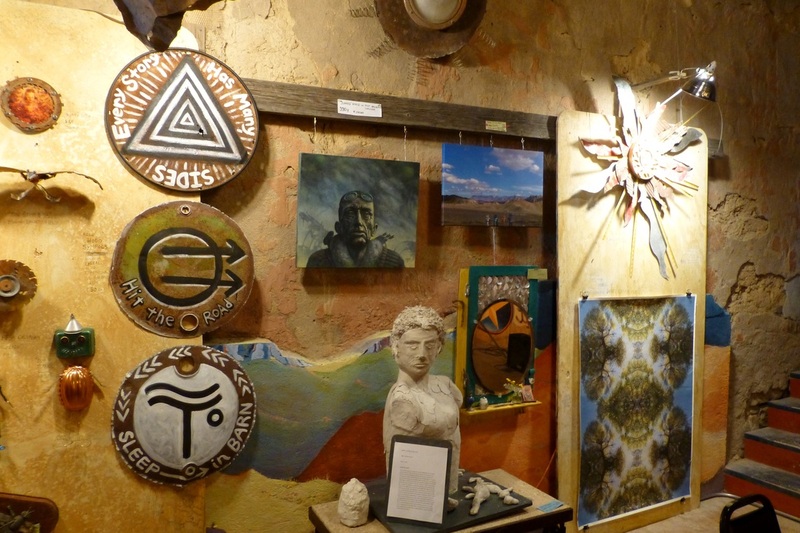 The art will continue to be on display at the Starlight Theater in the Ghost Town until the end of March, except for pieces sold to out-of-towners who need to take their purchases home with them when they leave. To see the best of the best, patrons are urged to come early in March. 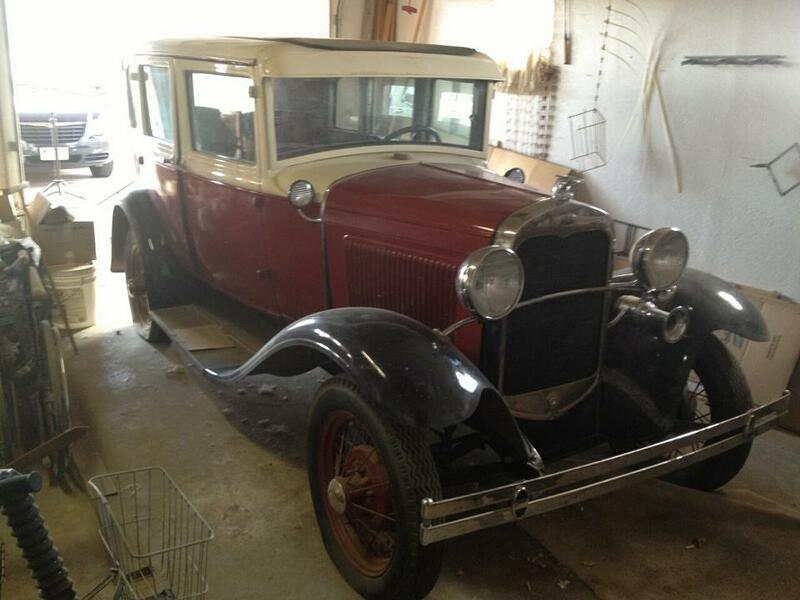 Remember the Model A I told you about? 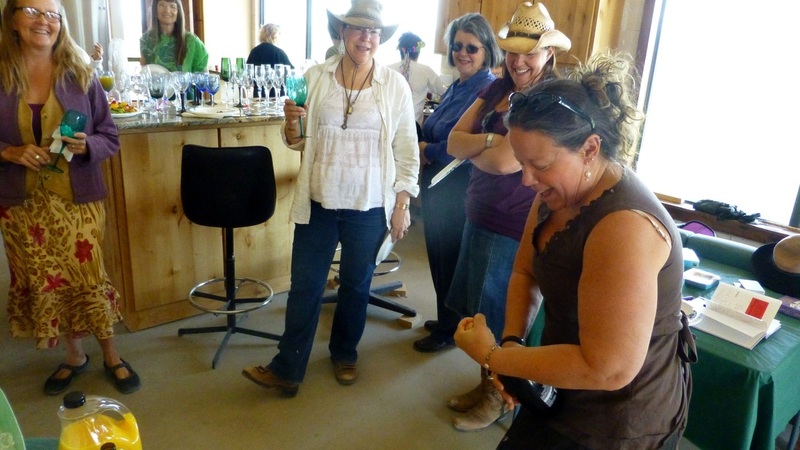 to learn what happened when it arrived in Terlingua. I was disappointed to find that the crossing to Boquillas really didn't open - AGAIN - today. 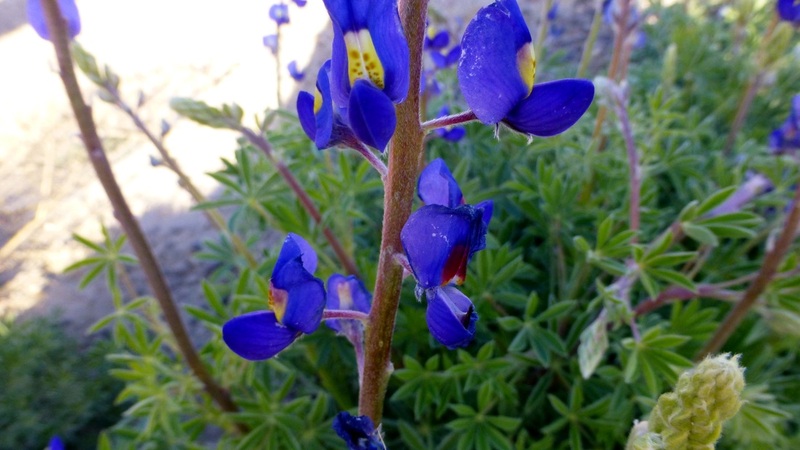 But the BLUEBONNETS at Terlingua Post Office cheered me up once more. Although the local park people are doing all they can, we have to be patient and hope the new government in Mexico will see its importance. 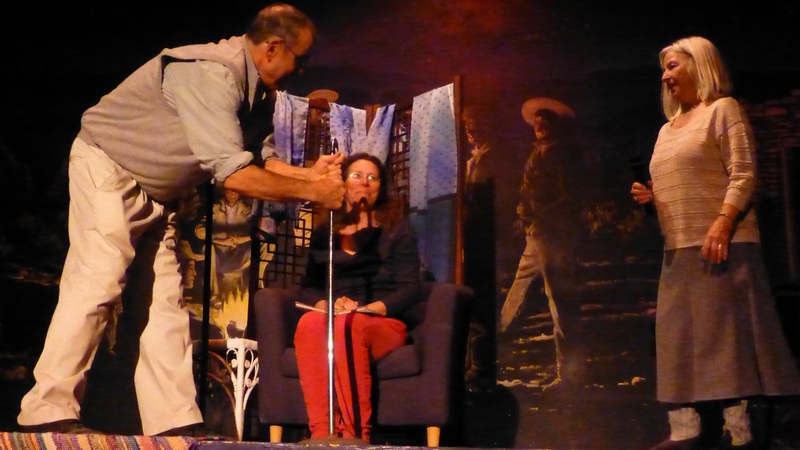 The 18th annual Terlingua Word Off was held at the Starlight Theatre in the Ghost Town. The Word Off is an evening for readings of short prose or poetry and for storytelling. Each presenter was limited to 5 minutes for his or her presentation. There were over 40 presenters to entertain the crowd that evening. Many of the readings were original works written by the presenters. The readings included several tributes to friends passed. Some of the works were somber and serious, while others were downright funny. The Starlight Theatre was full of presenters and a crowd of listeners. Some were locals; many were from faraway places including New York, Alaska and Michigan, and even foreign countries like Canada (Quebec province). The Word Off is an annual event, and it is never too early to plan to present a reading or a story next year. 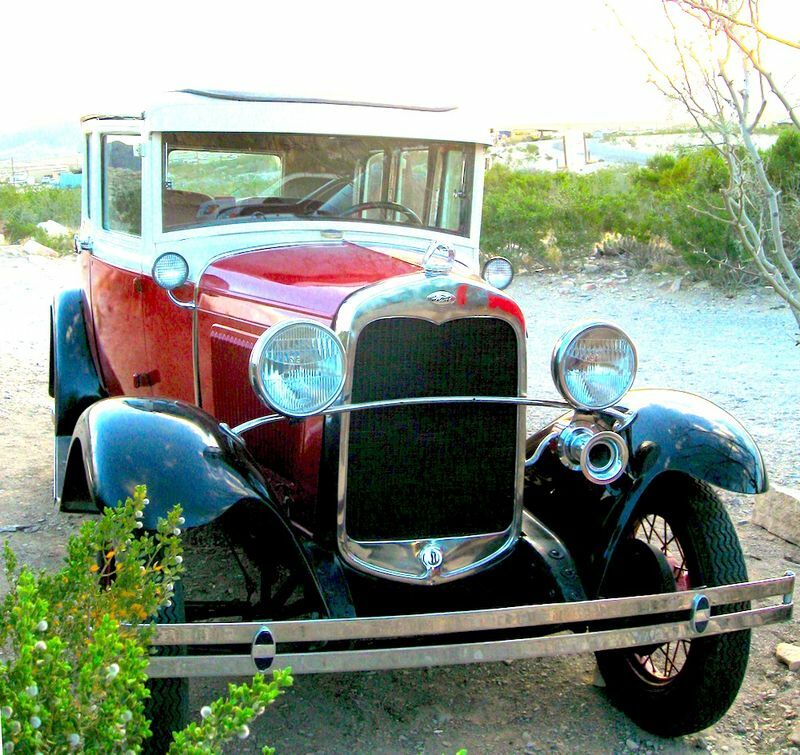 THIS BEAUTY is the 1930 Model A that picked up the Terlingua school kids in those years from all over south Brewster County and brought them to the Perry School in the Ghostown. I am still learning the history. 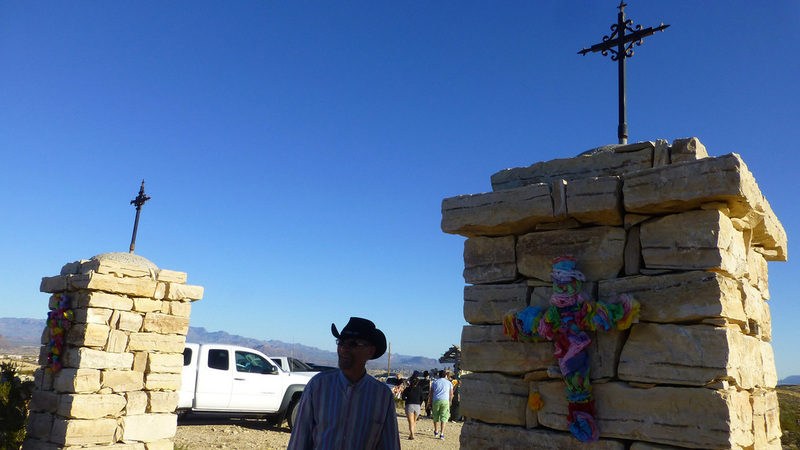 Juan Manuel Casas and his family have donated this to Terlingua Ghostown and this area. 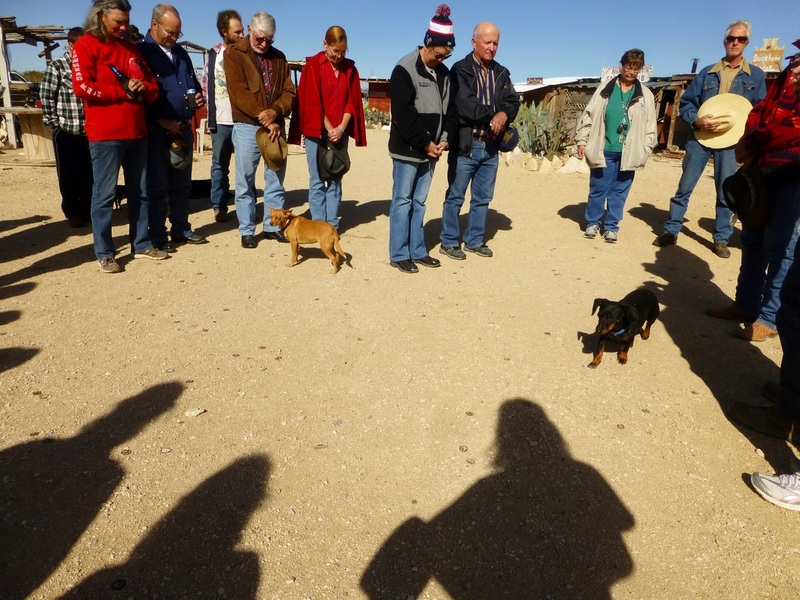 It will be held by all the Terlingua School kids and Mimi Webb Miller for us to love and take good care of. It is running and we will use it for parades and photos and more. We will be building a permanent structure to house it and would appreciate any Metal Poles and tin if anyone has some to donate. We are working on some glass for siding protection (at some point). 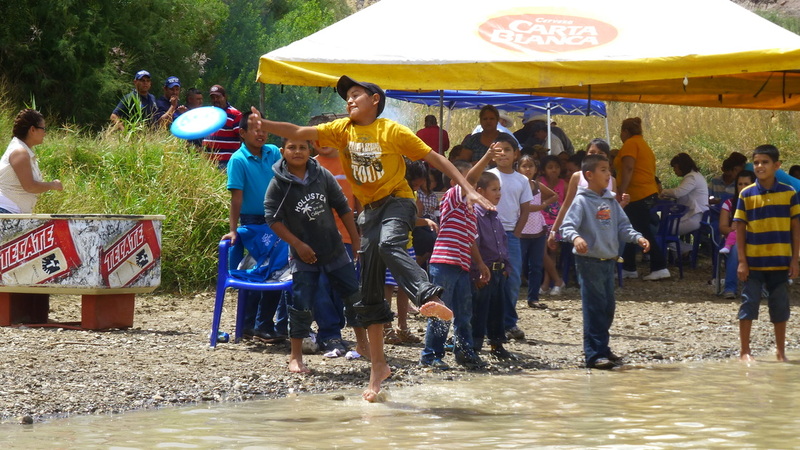 On Sunday, February 10th and again on Monday for the school kids, Down at the La Posada Milagro's Espresso y Poco Mas, we will have the Casas family here and lots of good stories. Juan Casas wrote the "Mexican's Tale of Terlingua" (he will also be signing books and they are available at the Terlingua Trading Company). 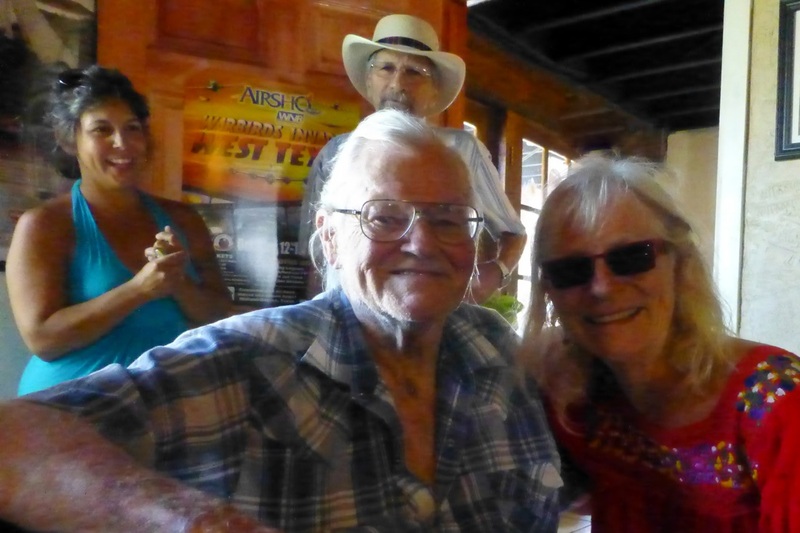 His family ran the old Study Butte Store in those old days with a large amount of Terlingua Ranch in their holdings. His family is buried in our cemetery in the Ghostown. My edition ;) Locals take turns sharing the news in this weekly update. Be sure to check out the other links on this site too. 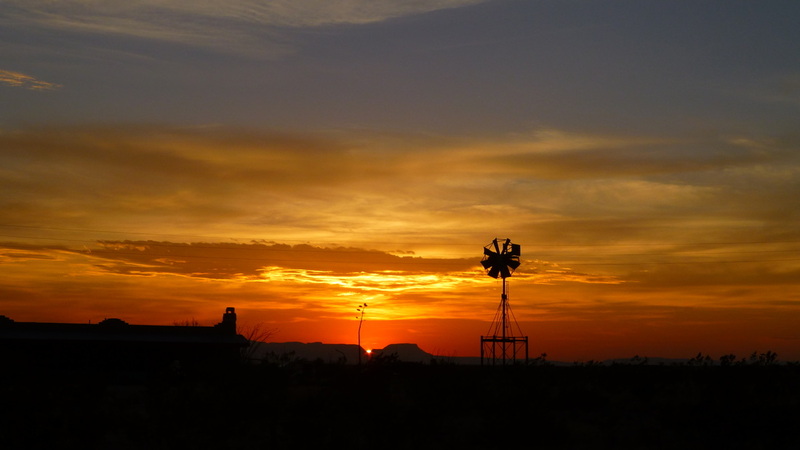 A treasure trove of Terlingua information. BREAKING NEWS! HOLD THE PRESSES! 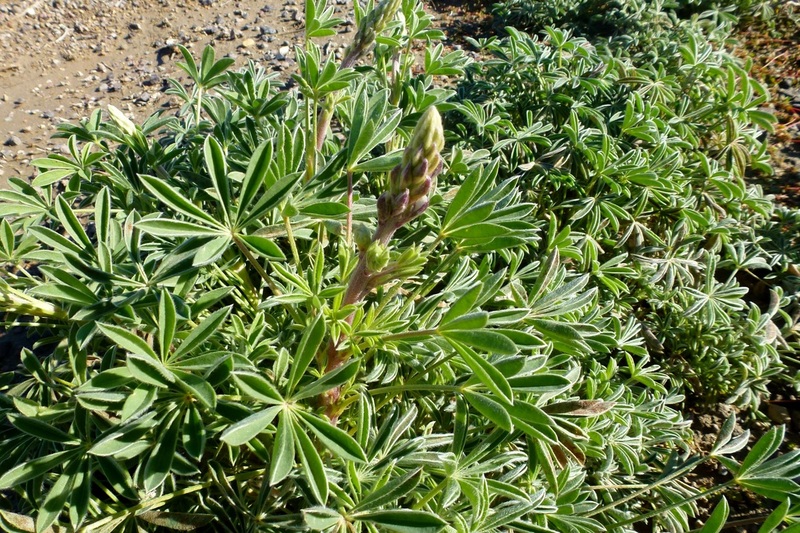 A Bluebonnet getting ready to bloom sighted in the parking lot of the Terlingua Post Office. Spring is just around the corner. 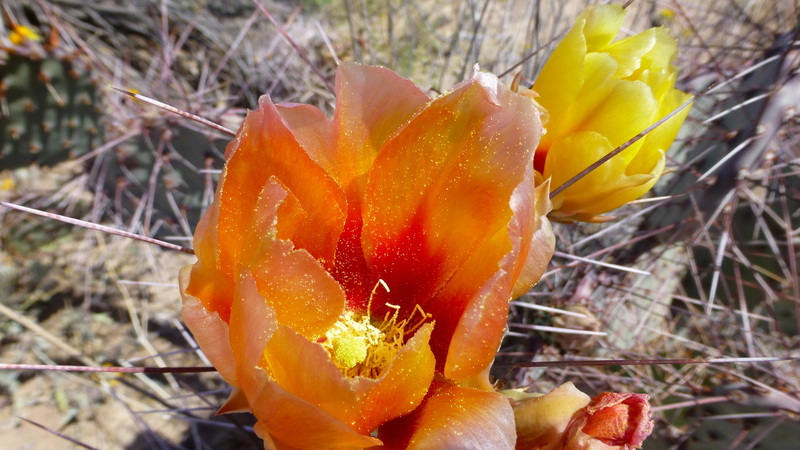 Make your plans to see the desert in full glory. Coming soon! In 1972 a young Texas singer-songwriter recorded a song about a bandit and his enigmatic sidekick in Mexico. Only a few took notice. In 1977 an emerging female vocal artist recorded the song again. It received more notice but wasn't a resounding hit. 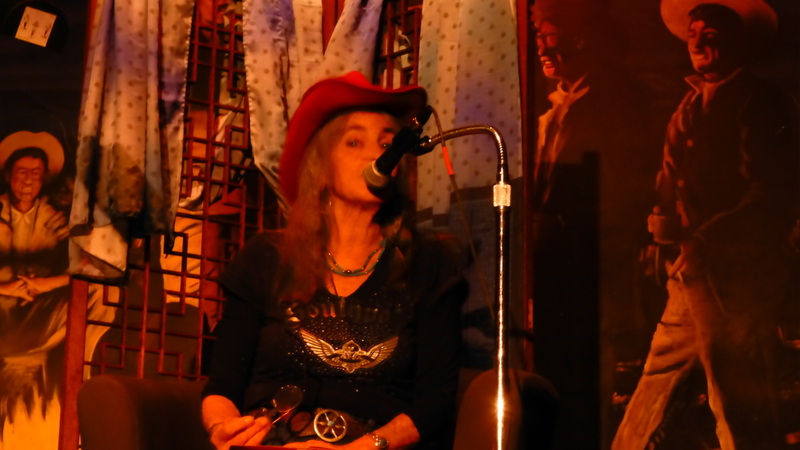 But six years later Emmylou Harris' version of "Poncho and Lefty" was covered by Willie Nelson and Merle Haggard and the song took off, reaching number one on the charts in both the United States and Canada. That songwriter, Townes Van Zandt, is considered by many to be among the best of the very best Texas songwriters. In 1981 Emmylou Harris and Don Williams released their recording of Van Zandt's "If I needed You" which promptly reached number three in the United States and topped the charts in Canada. Townes Van Zandt led a life troubled by manic depression, medication, and substance abuse. He died at the too-young age of 52 on January 1, 1997. Beginning New Years Day, 1998 and every year thereafter there has been a tribute to Townes Van Zandt at the Old Quarter Acoustic Club in Galveston attended by his friends and fans. 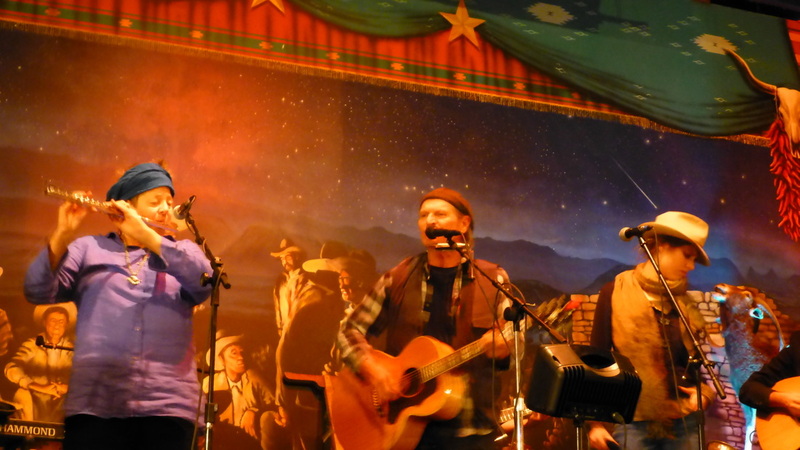 On New Years Day at the Terlingua Starlight Theatre the Second Annual Townes Van Zandt Tribute was hosted by musicians Jon Hogan and Maria Moss. Hogan and Moss were joined by a host of talented musicians to delight the packed crowd at the Starlight. The evening opened with Hogan and Moss being joined by Nick Tesauro Young on guitar, Marfa's Jalapeno Schwartz on keyboard, and Terlingua's Mark "Eyeball" Kneeskern on the washtub base with a soulful rendition of Poncho and Lefty. Soon they were joined by famed Texas singer songwriter Butch Hancock and his son Rory. 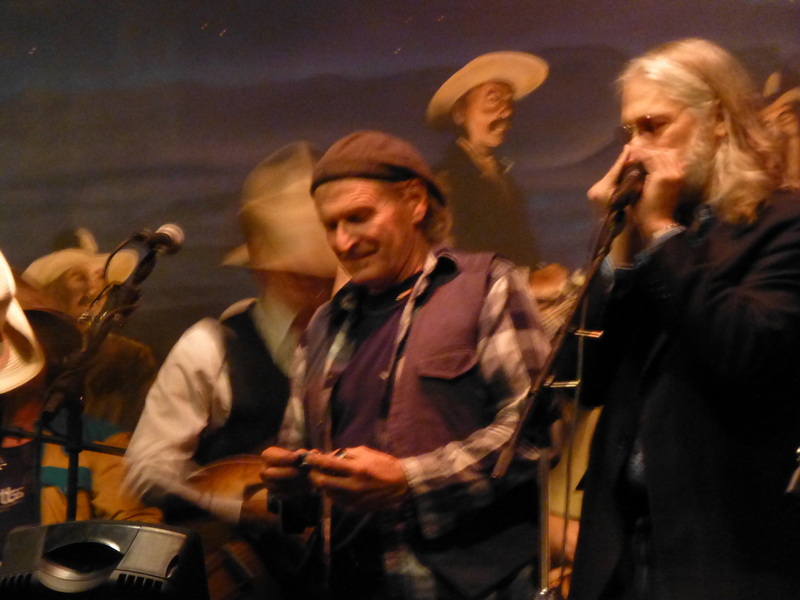 As the evening progressed groups and individuals including Canada's Emilie Clepper and locals Hank Woji, Chris Baker and David Shane Duke took the stage to perform one or two Townes Van Zandt songs or to tell Townes Van Zandt stories. As midnight approached the previous performers were joined by several more to perform the finale, a rousing rendition of Van Zandt's "White Freightliner". The crowd at the Starlight Theater had barely thinned when the stage went silent. We have just had the most snow in one day that anyone can remember! Measurements vary but I'd expect most everyone got from 4 to 8 inches of white fluffy stuff! The Cake Walk is grand fun for kids of all ages! Our local businesses donated lots of really great stuff for a Hot Date. Raffle tickets sold quickly. 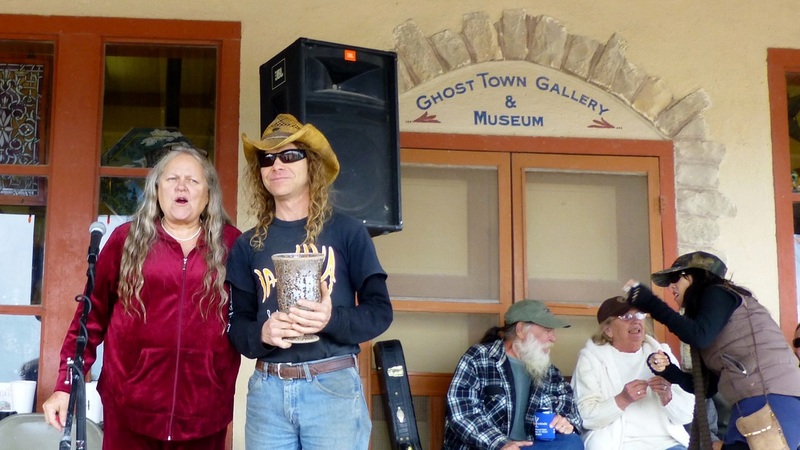 Pam Ware presents Glen Felts, the winner of the Black Eyed PeaOff, with the trophy! 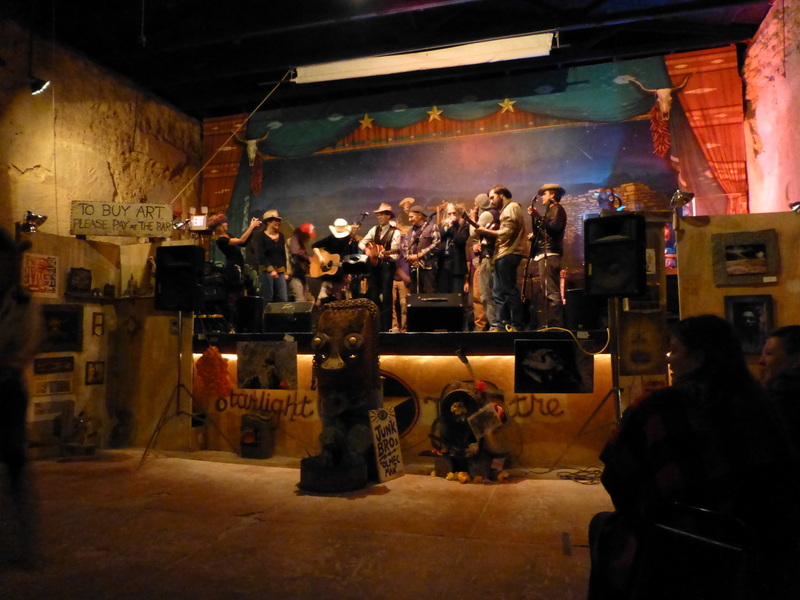 For twenty three years in a row, Terlingua has been the scene for the New Years Day Black Eyed Pea Off. Once again we find it on the "porch" at the Trading Post and Starlight Theatre. 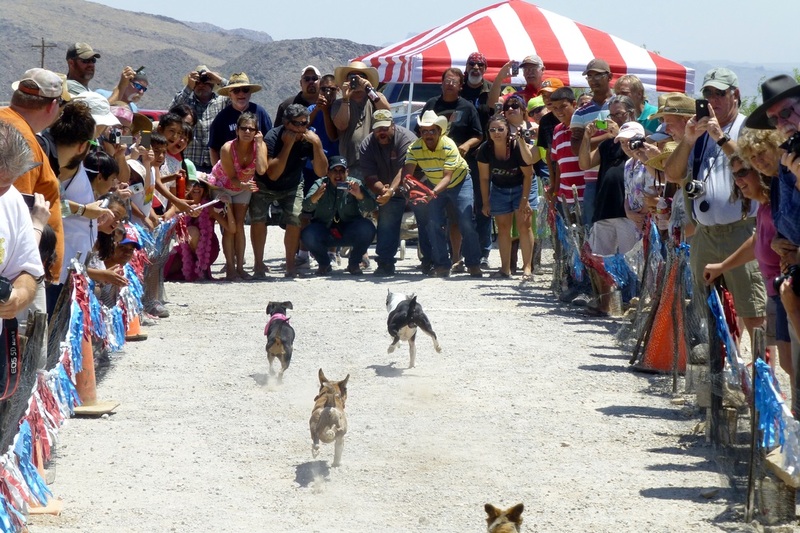 This annual community event has become the largest local event of the year for Terlingua, second in size only to the nationwide and international appeal of the famed Terlingua Chili Cookoff. Organized for the 23rd time by Pam Ware it was again a huge success. This year the Pea Off served as a fund raiser for the Last Minute Low Budget Productions Mercury Performing Arts Center building fund. In addition to enjoying more than thirty variations of fine black eyed peas, the crowd witnessed Brewster County Sheriff Ronnie Dotson personally lock up Catfish Calloway in the old Terlingua jail. Donations to bail Catfish out of jail seriously lagged behind the donations made to keep him locked up. But eventually sufficient bail was raised and Catfish again became a free man. All of the cookoff entries were judged by a panel of judges. Four time winner Robert Hill was awarded third place. His other batch of peas was also selected as second place. 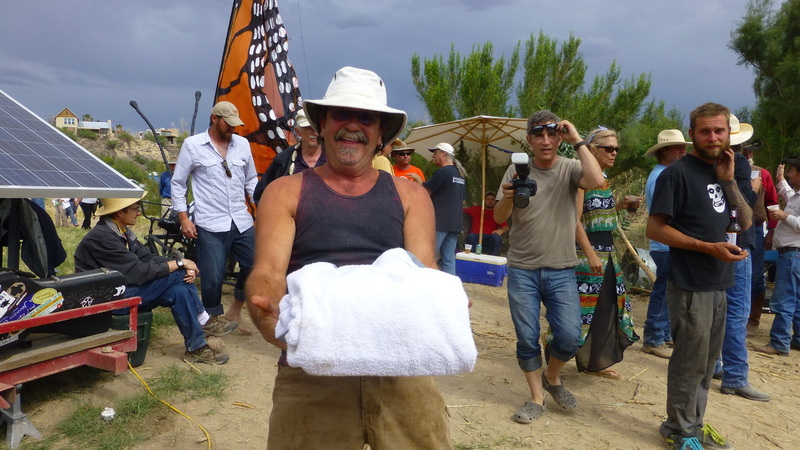 The first place trophy was awarded to Glen Felts, the proprietor of La Kiva in Terlingua. To keep things lively music on the porch was organized and the open mike was hosted by Trevor Hickle. While the competitive cake walk was open to children and adults alike, it seemed like the kids were winning most of the cakes. The event was broadly supported by local businesses and the "Hot Date Raffle" was a huge success with lucky winners taking home certificates for lodging, meals, and adventure trips. Hot Date Raffle prizes, good for accommodations and dinner for two were donated by Lajitas Resort, Big Bend Resort and Adventures, Ivy and Ivy Properties and the Starlight, Eldorado Hotel and High Sierra Bar and Grill, Easter Egg Valley and LaKiva and La Posada Milagro and Espresso y poco mas , and 1/2 day adventures were donated by Big Bend Stables, Big Bend River Tours and Far Flung Adventures. Cakes for the cake walk were donated by local bakers.